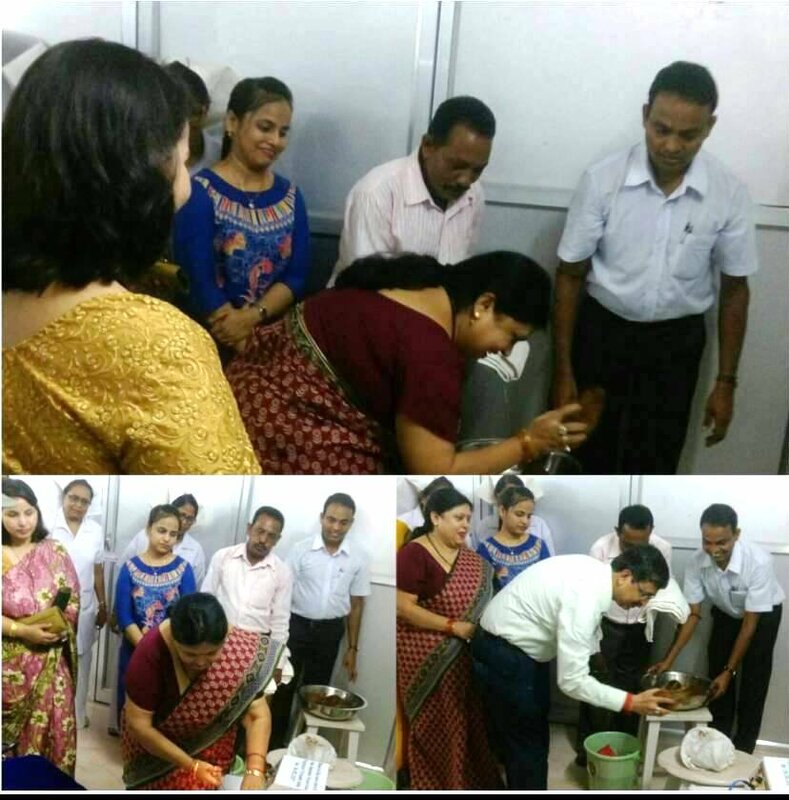 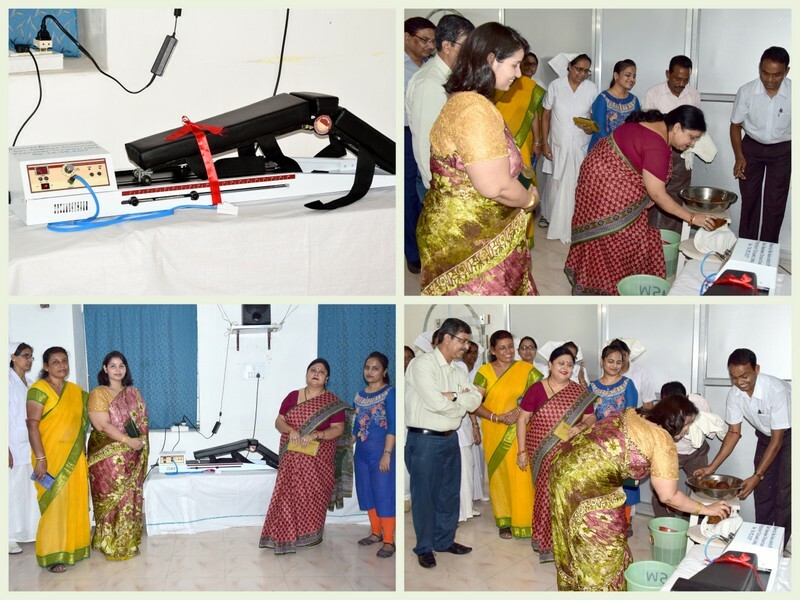 INAUGURATION OF CONTINUOUS PASSIVE MOVEMENT INSTRUMENT BY PRESIDENT SERWWO/ADRA AT DIVL HOSPITAL ADRA FOR THE BENEFIT OF STAFF. 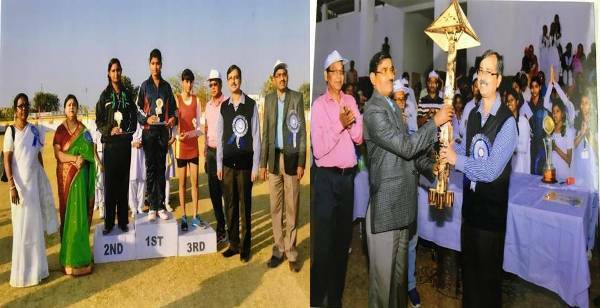 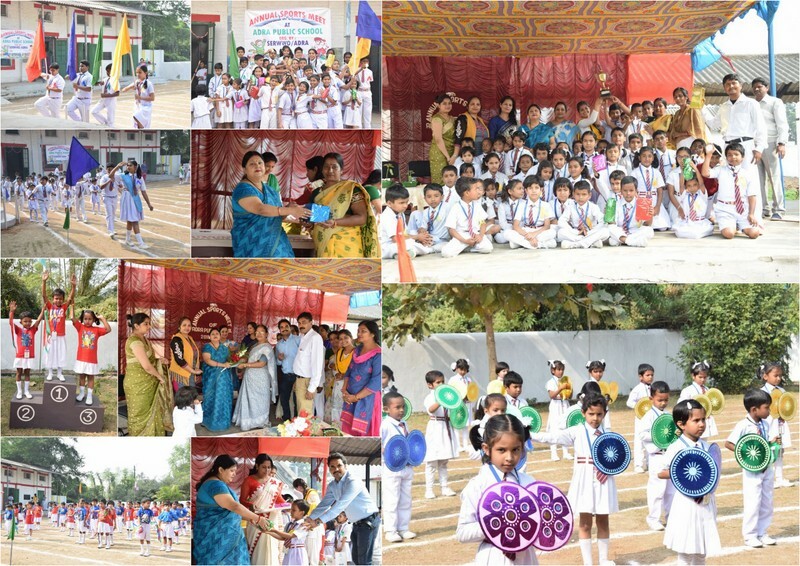 ANNUAL SPORTS OF LITTLE FLOWER SCHOOL/ANARA.HELD ON 10.01.2018. 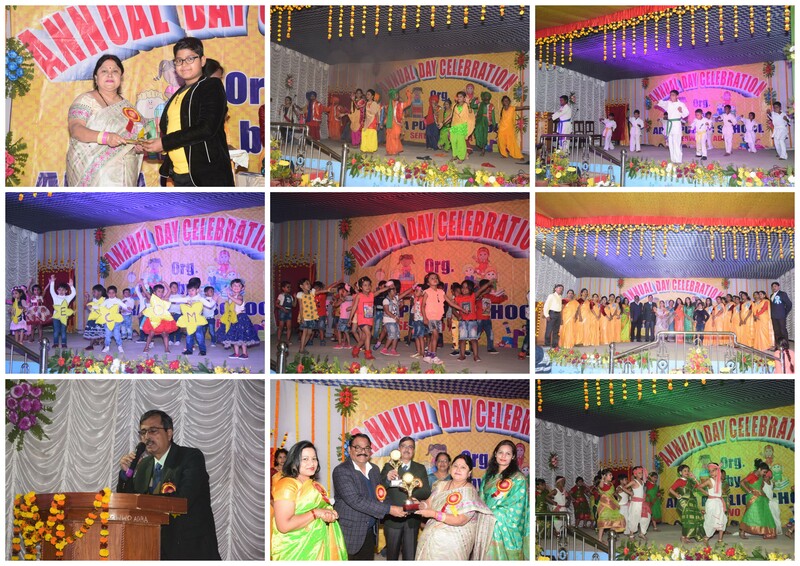 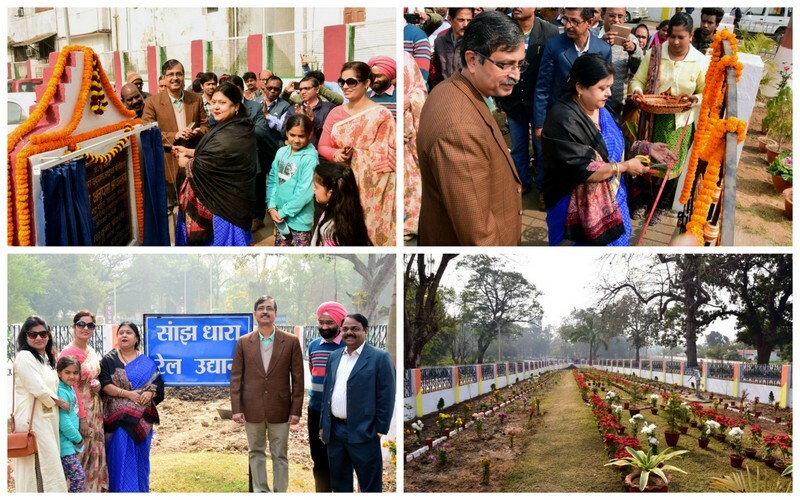 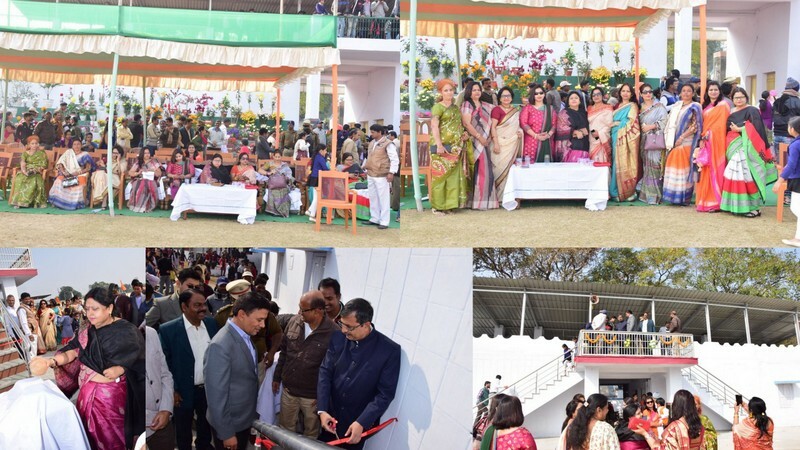 REPUBLIC DAY CELEBRATION AT SERSA STADIUM & RENOVATED OF MODIFIED PAVILION AT SERSA/ADRA. 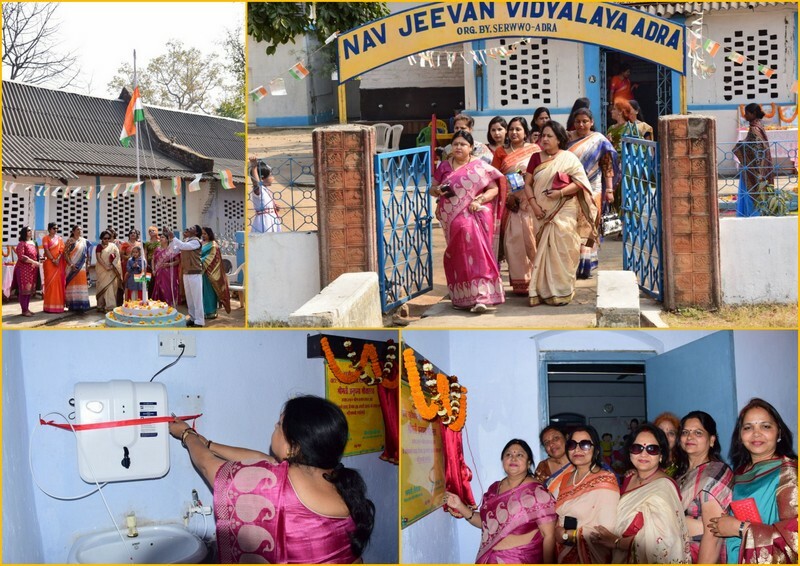 REPUBLIC DAY CELEBRATION & WATER PURIFIER INAUGURATION AT NAVJEEVAN VIDHYALAY. 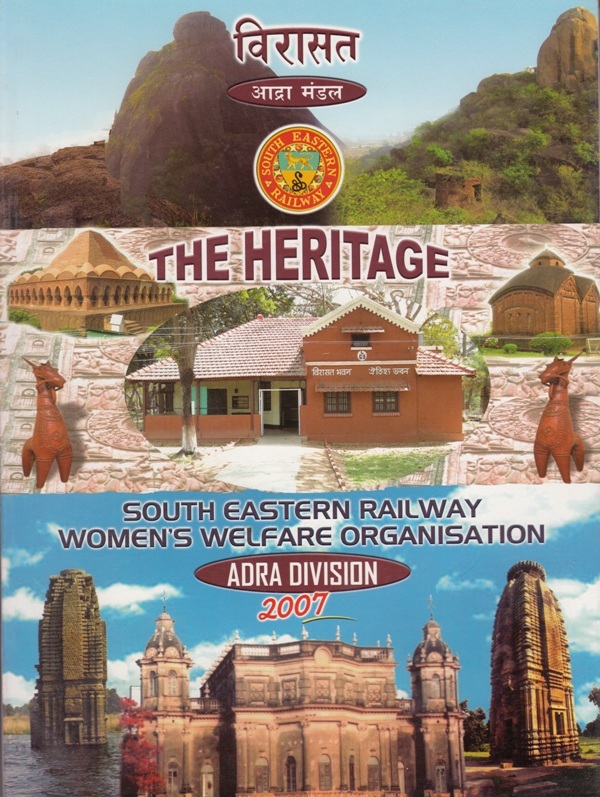 SOUTH SETTLEMENT /ADRA. 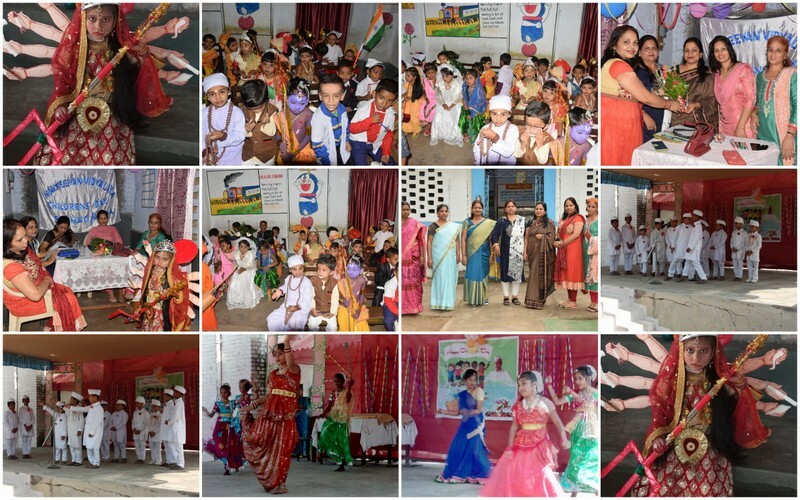 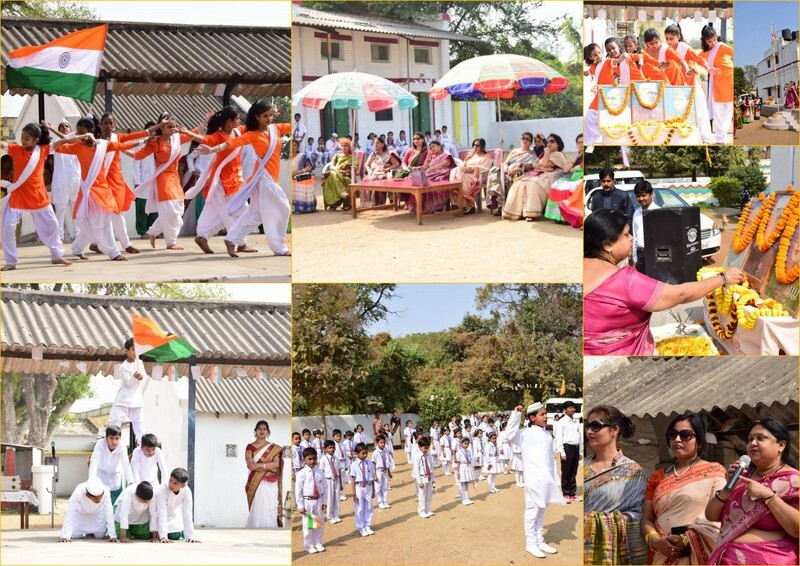 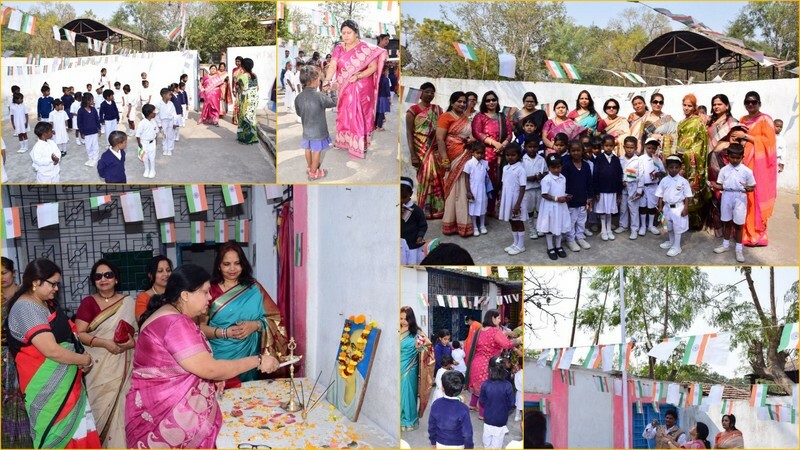 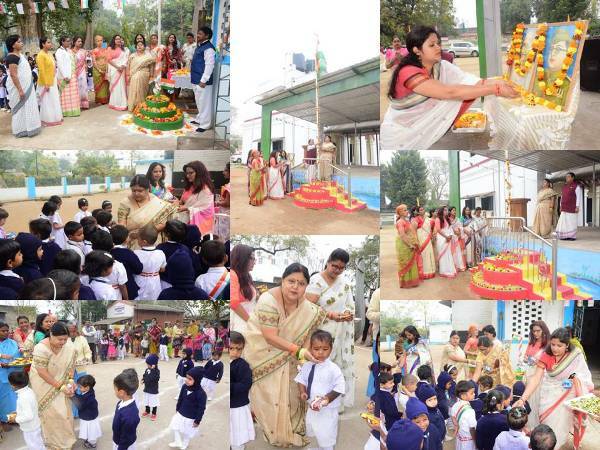 REPUBLIC DAY CELEBRATION AT ADRA PUBLIC SCHOOL. 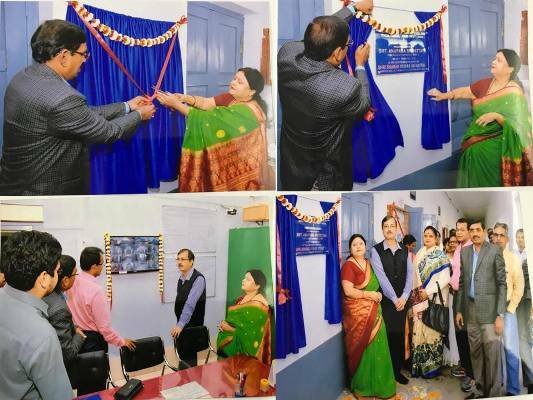 RENOVATION OF PRINCIPAL CHAMBER AT ADRA PUBLIC SCHOOL. 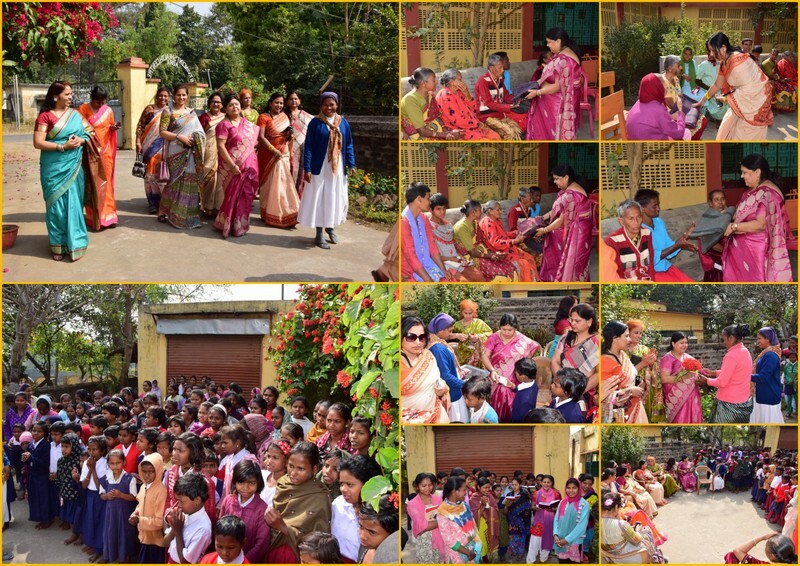 VISIT ST.VINSENT OLDAGE & ORPHANAGE ASHRAM BY SERWWO,ADRA AND DISTRIBUTED CAKE,CHALKLATE TO CHILDREN & BLANKETS TO OLDAGE LADIES.ON 26.01.2018. 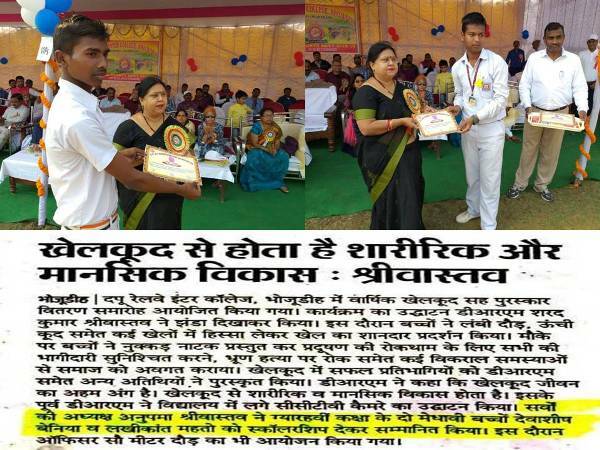 SERWWO PRESIDENT & MEMBERS IN ANNUAL SPORTS 2017-18 OF S.E. RLY GIRLS' H.S. 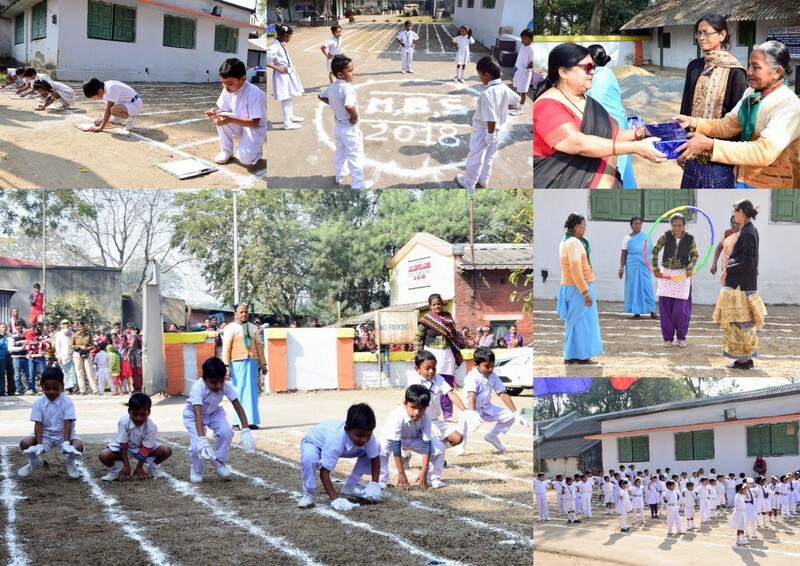 SCHOOL ADRA ON 15.02.18 . 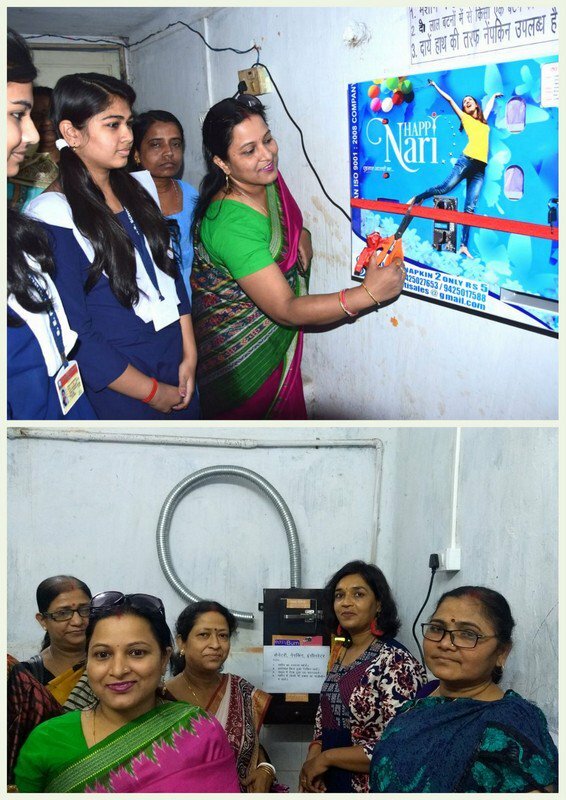 1st time in S.E.Rly Sanitary Napkin Vending Machine & Incinerator installed at DRM Office,Adra by SERWWO,Adra as per guidance of IRWWO on 24.02.18. 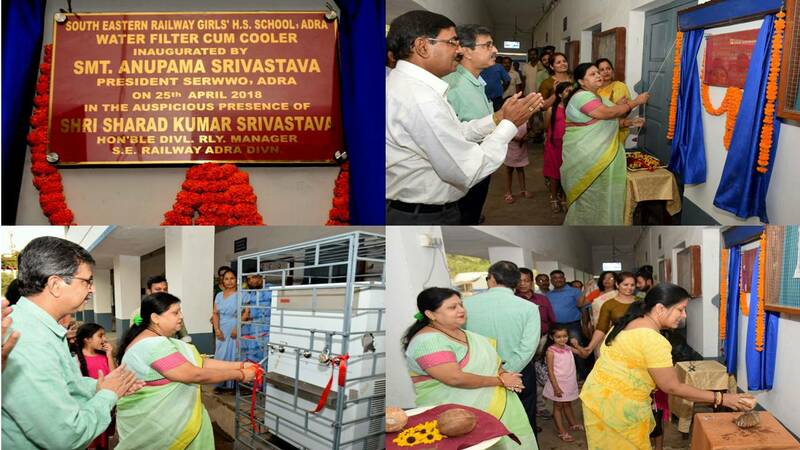 South Eastern Railway Girls' H.S School/Adra : Sanitary Napkin Vending Machine & Incinerator installed on 24.02.2018. 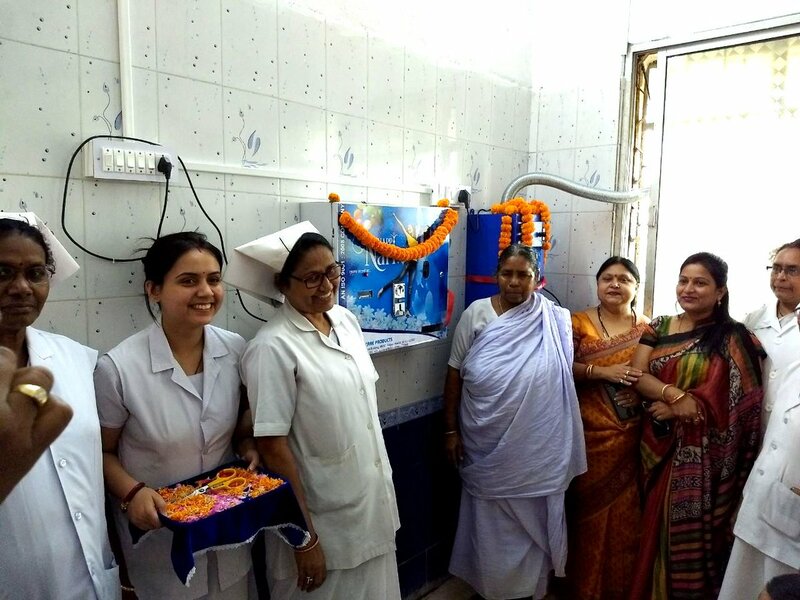 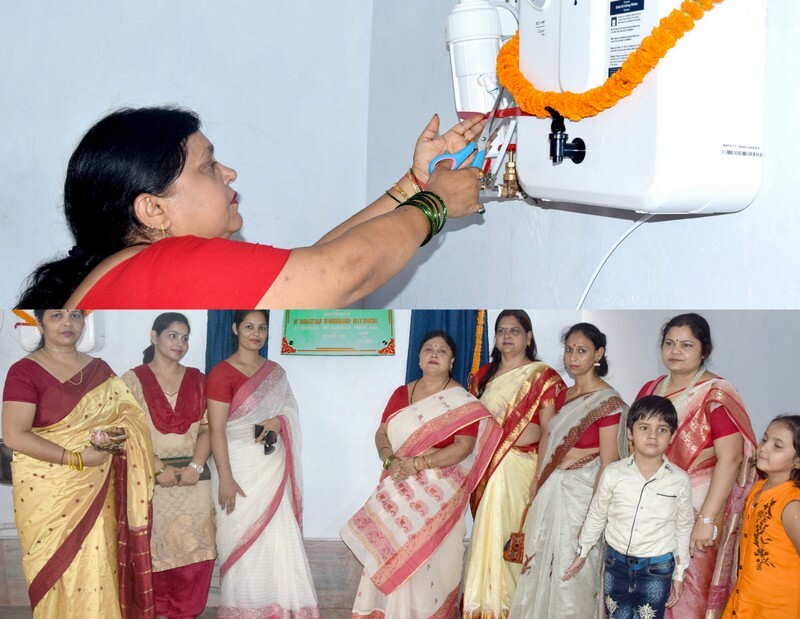 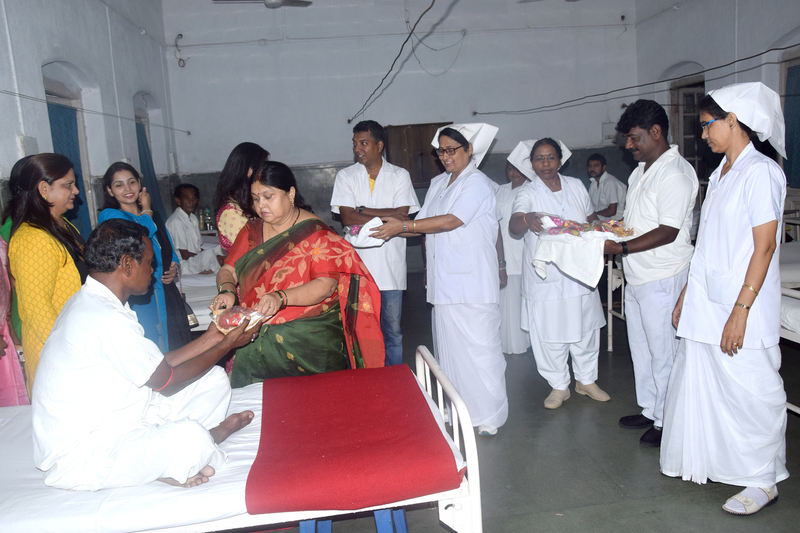 ADRA Divisional Hospital, inaugurated the incinerator and sanitary napkin dispenser in the Female Medical Ward in presence of president, SERWWO, ADRA on 08.03.2018, International Women's Day. 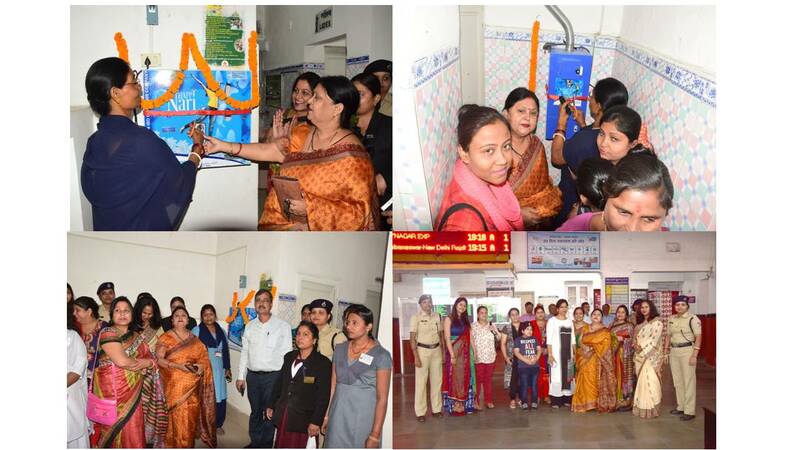 Sanitary Napkin dispenser and Incinerator were provided in the Ladies Waiting Room of Bokaro station and inaugurated by staff Smt Shiv Kumari and ladies passengers in presence of president, SERWWO, ADRA on 08.03.2018, International Women's Day. 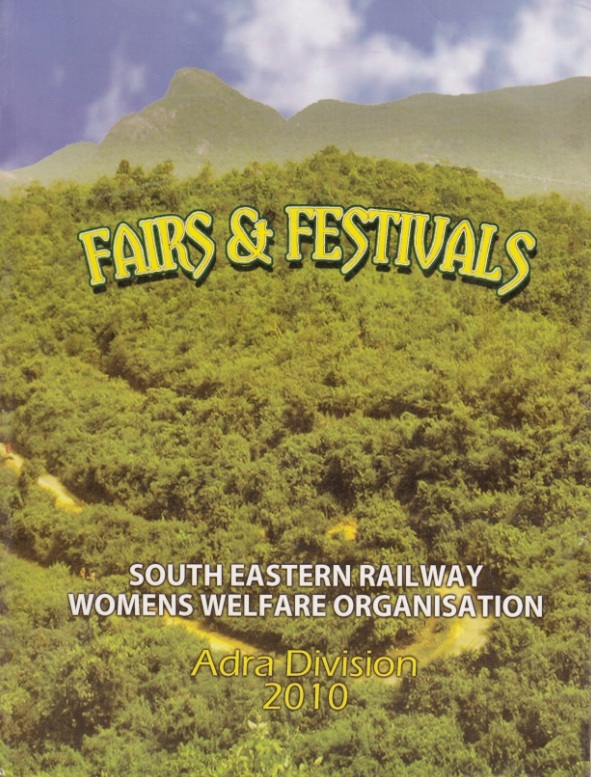 South Eastern Railway Women's Welfare Organization, Adra organized a function to felicitate Railway women employee of Adra Division on 09.04.18 for their exemplary work. 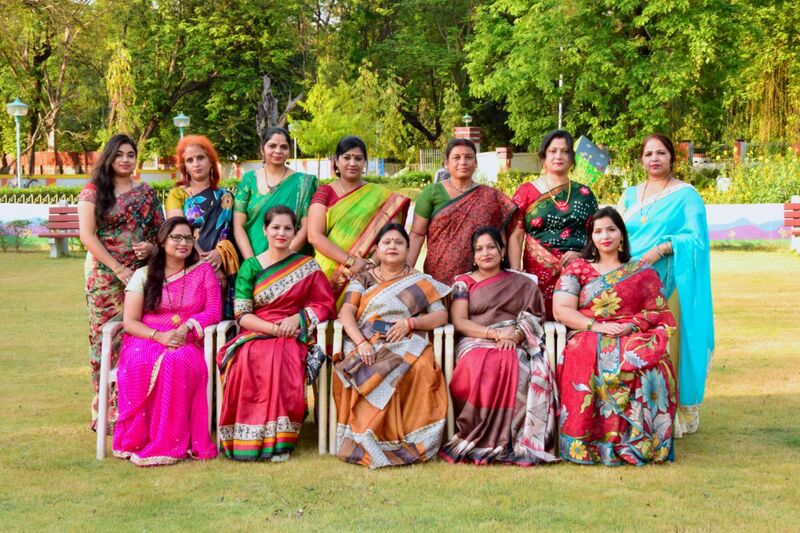 SERWWO in presence of SERWWO president & all SERWWO members. 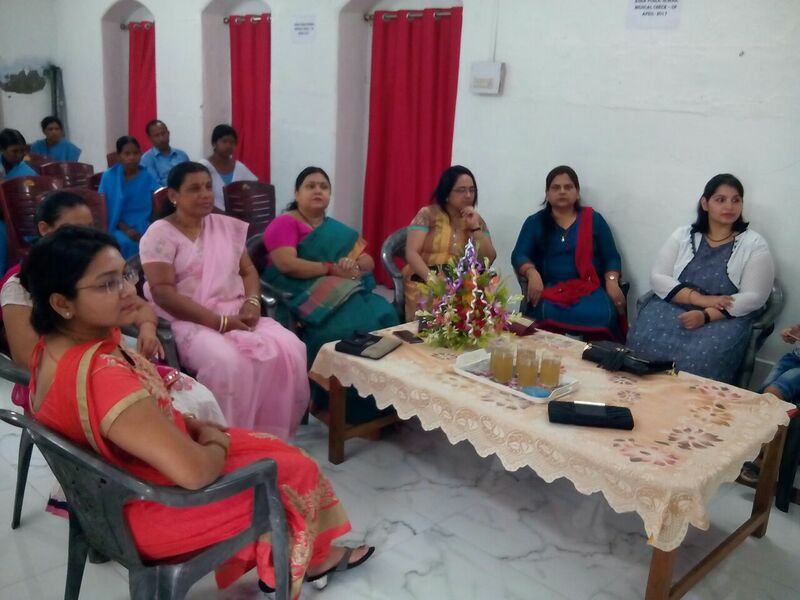 CCTV CAMERA & SCHOOL WEBSITE CAREER COUNSELING CELL AT S.E. 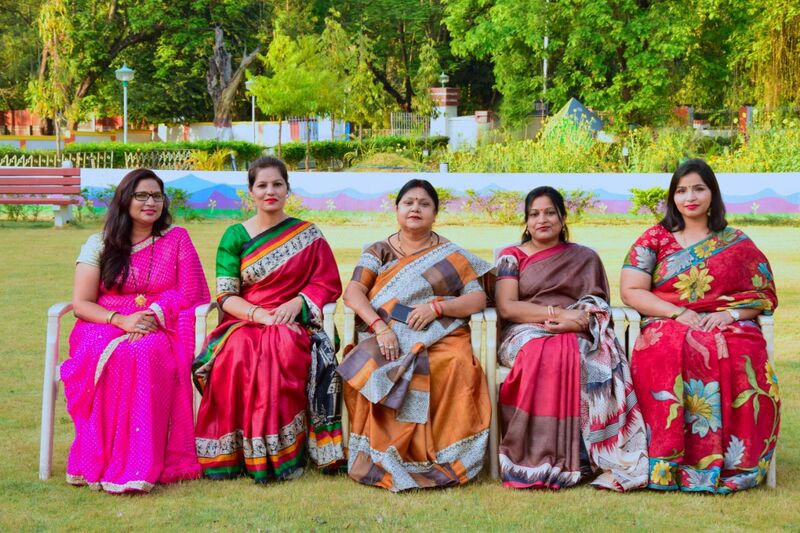 RLY GIRLS' H.S. 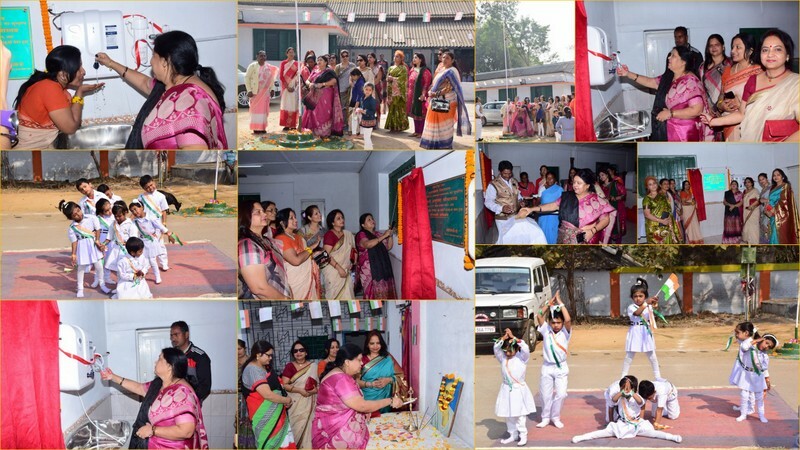 SCHOOL INAUGURATED BY PRESIDENT SERWWO/ADRA ON 15.02.18 . 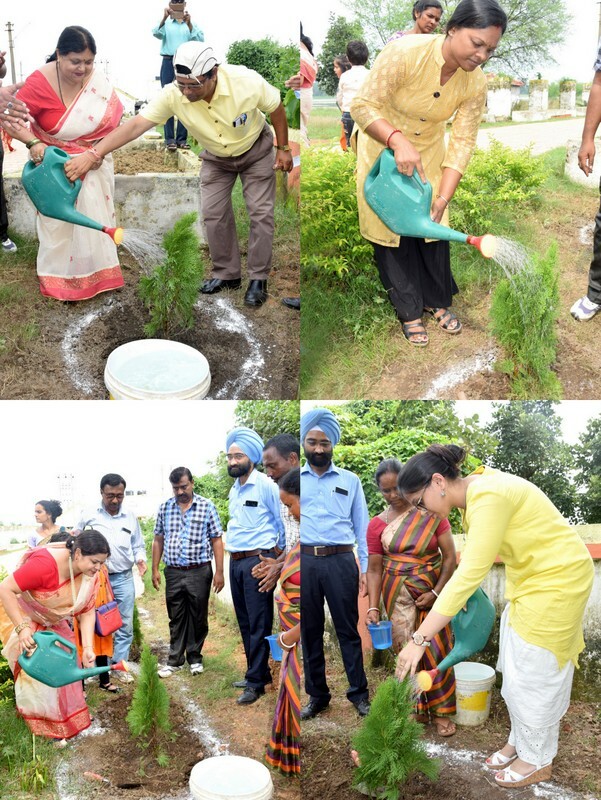 TREE PLANTATION PROGRAMME AT ADRA PUBLIC SCHOOL BY SERWWO /ADRA ON 30.07.2018 . 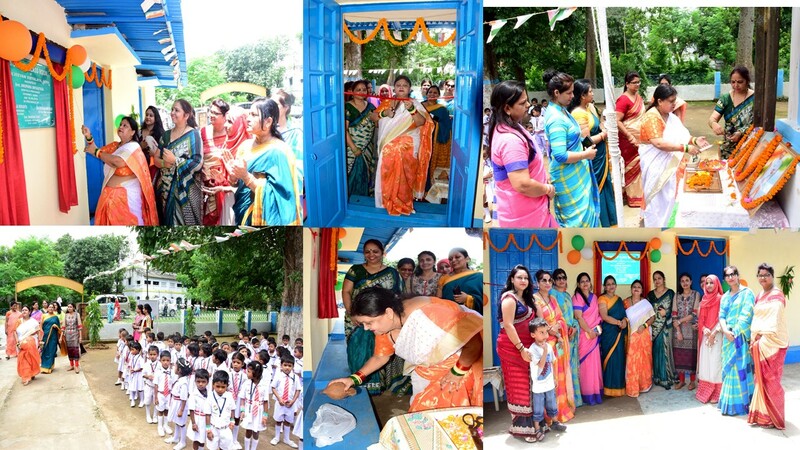 INDEPENDENCE DAY CELEBRATION AND ENTRANCE GATE INAUGURATION AT ADRA PUBLIC SCHOOL ON 15.08.18. 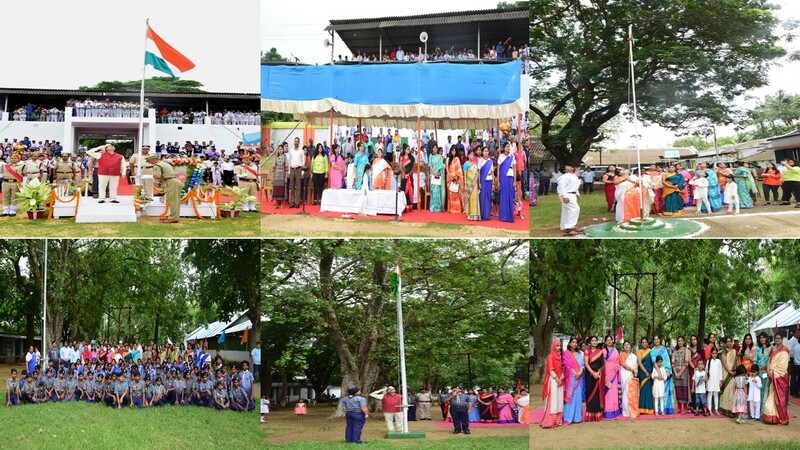 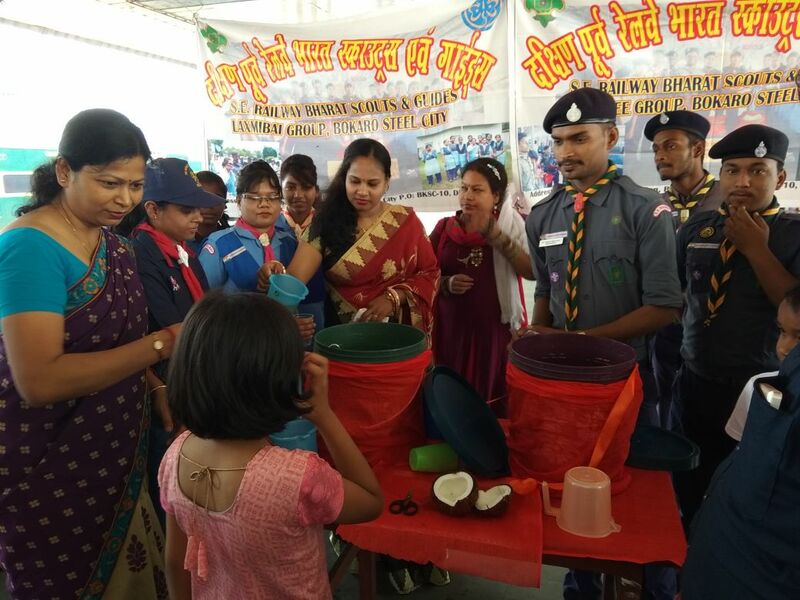 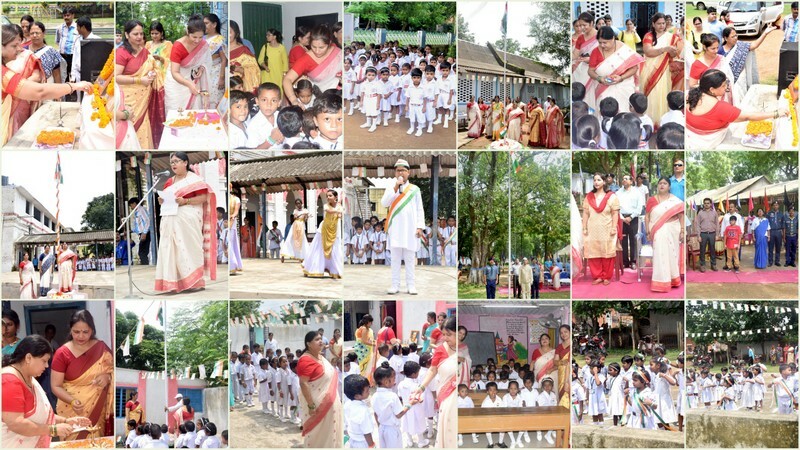 PRESIDENT SERWWO & MEMBERS IN INDEPENDENCE DAY CELEBRATION AT SERSA STADIUM, SCOUT DEN AND MUKULBITHI SCHOOL. 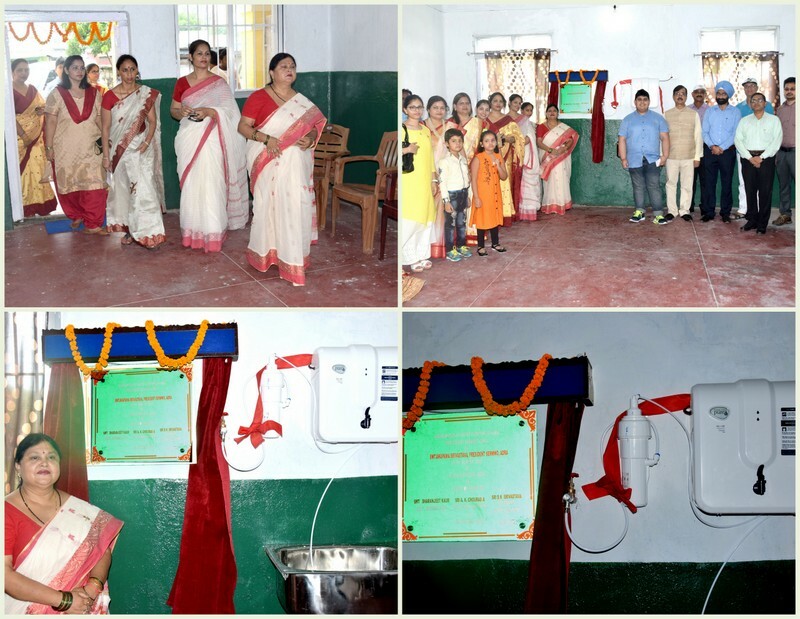 PRESIDENT OF SERWWO INAUGURATION OF NURSERY CLASS AT NAVJEEVAN VIDYALAYA ADRA IN PRESENCE OF SERWWO MEMBERS ON 15.08.18 . 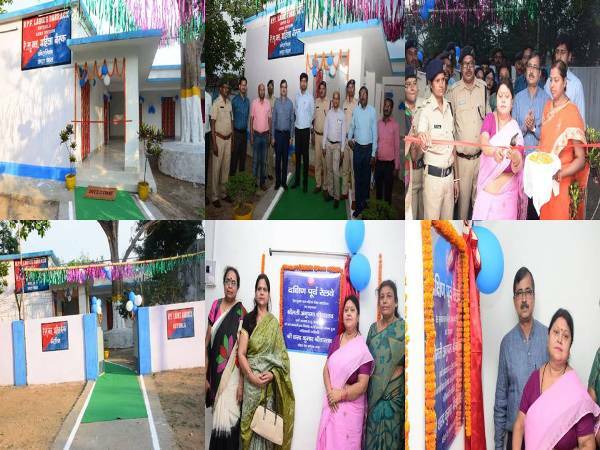 INAUGURATION OF NEWLY RENOVATED COMMUNITY HALL IN PRESENCE OF SERWWO AND MEMBERS ON 15.08.18 . 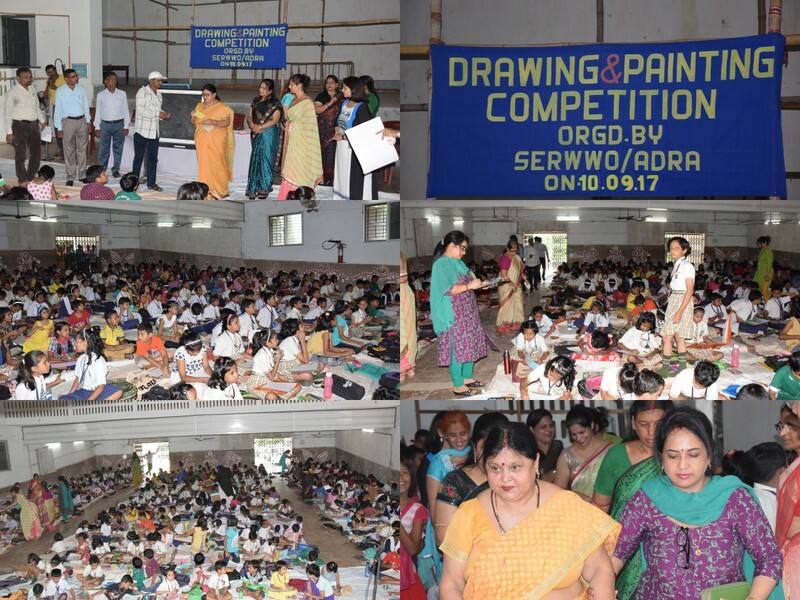 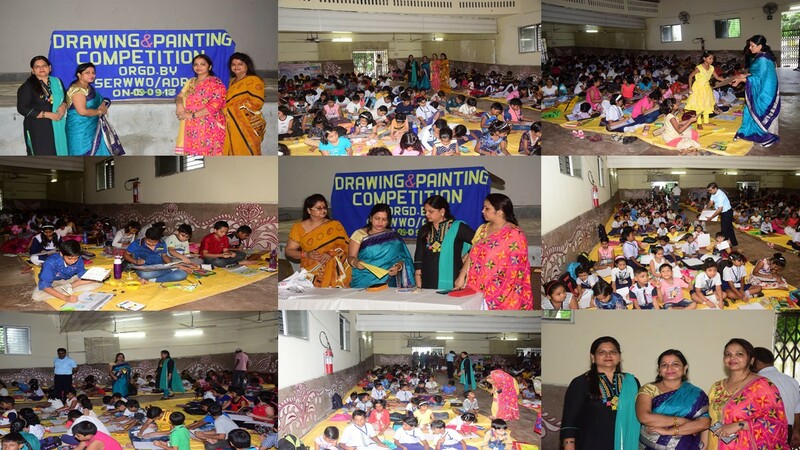 Drawing & Painting Competition organised by SERWWO/Adra in Girls' High Secondary School/ Adra on 09.09.18 . 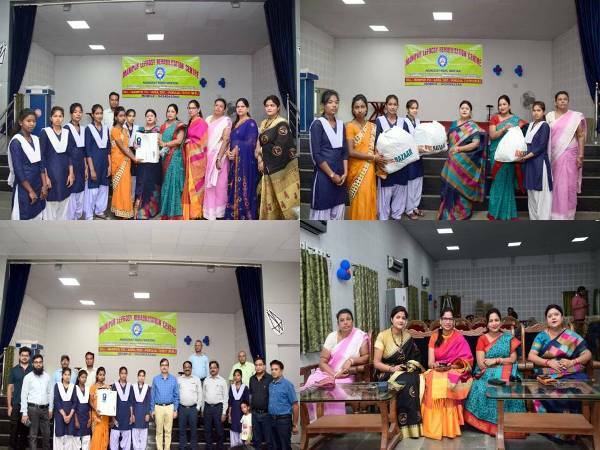 Essay Competition organised by SERWWO/Adra in Girls' High Secondary School/ Adra on 16.09.18 . 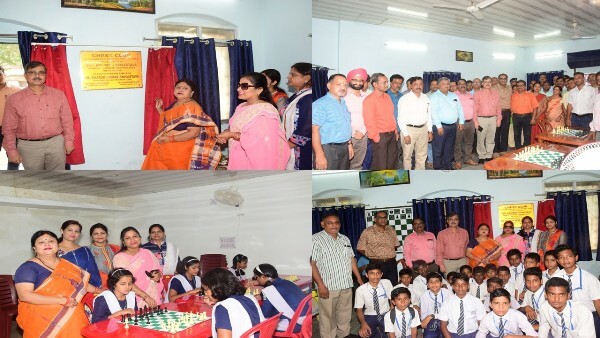 Chess Club organised by President SERWWO/Adra at Boys' High Secondary School/ Adra & Girls' High Secondary School/ Adra in presence of DRM/Adra on 18.09.18 . 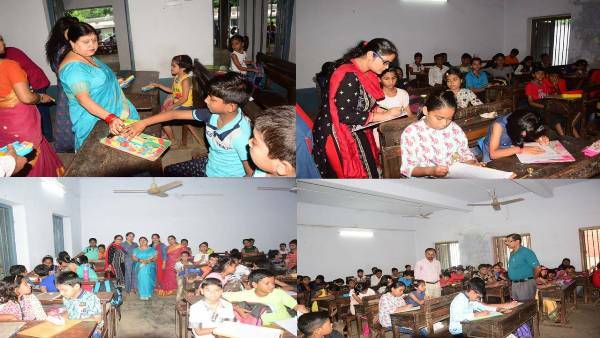 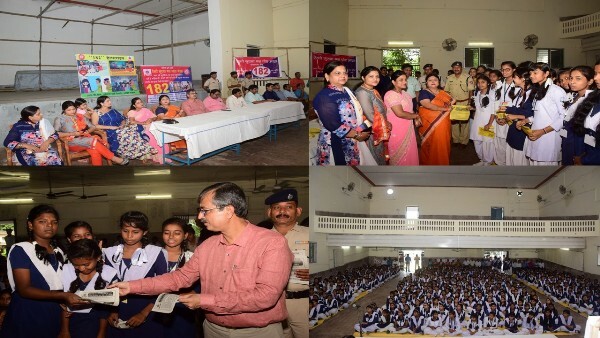 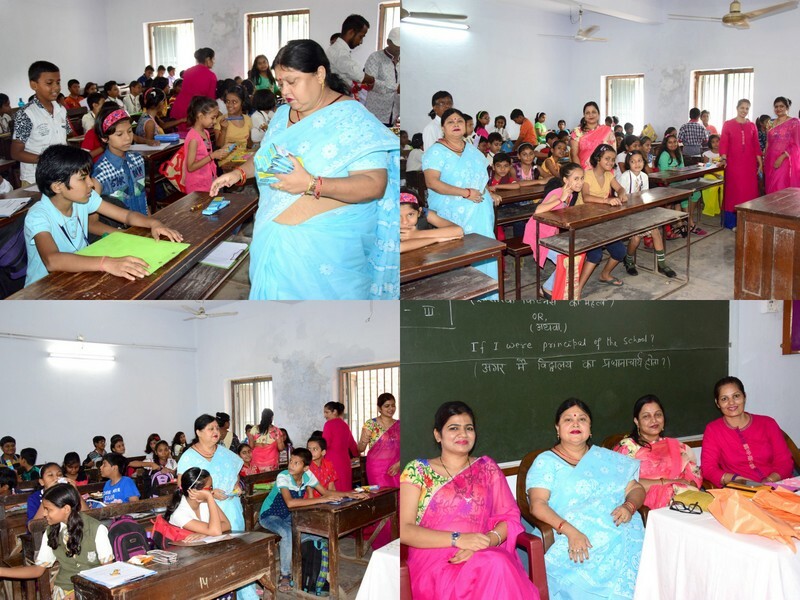 182, (All India Security Helpline) awareness camp was organised at Girls' High Secondary School/ Adra for Girls students in presence of President SERWWO/Adra, DRM/Adra, other SERWWO members, Branch Officers, staffs & students on 18.09.18 . 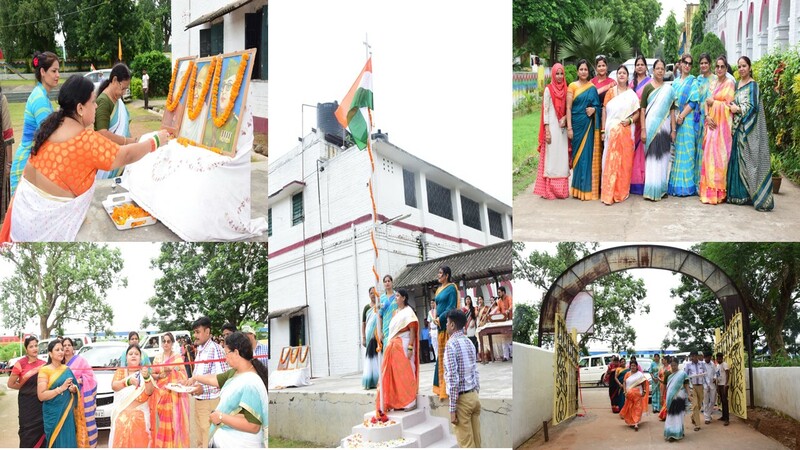 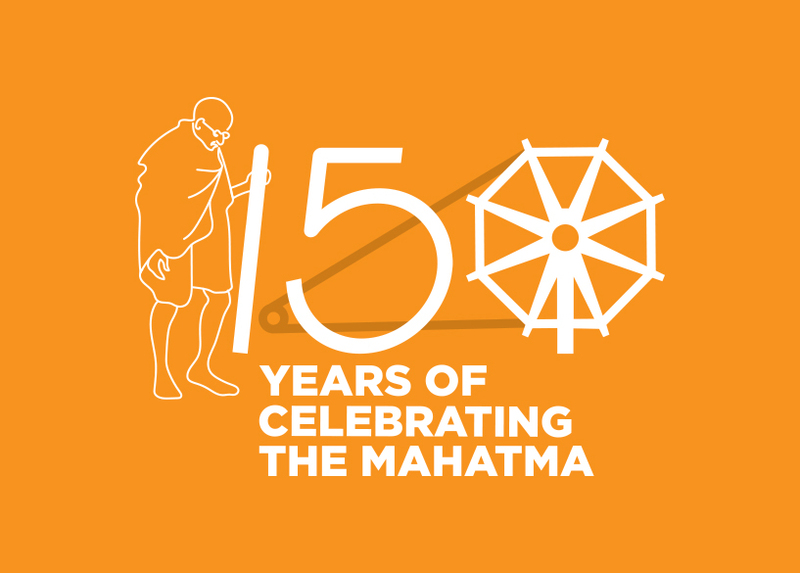 SERWWO/Adra celebrate MAHATMA GANDHI JAYANTI on 2nd october 2018 at Adra Public School followed by unveiling of statue of MAHATMA GANDHI by President SERWWO/Adra & other SERWWO members. 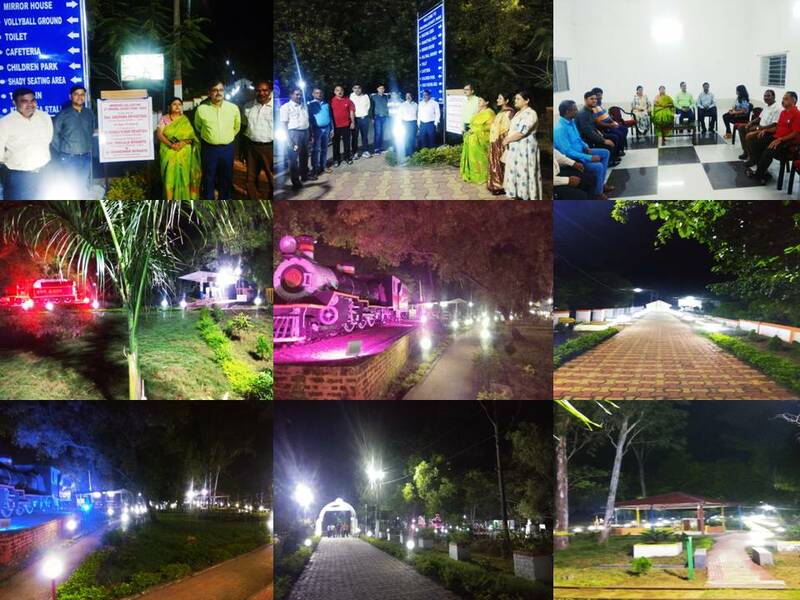 Improved LED lighting at “Swarnjayanti Park /Adra will be inaugurated by SERWWO president in presence of DRM and all BO's and officers on 17.10.18. 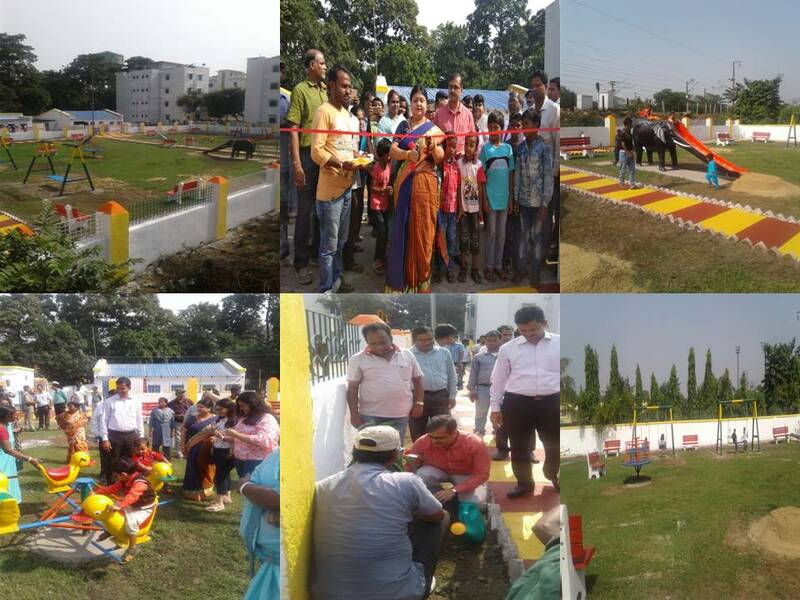 New children's park was opened at Burnpur Railway Colony by President SERWWO on 16.10.18 in presence of children & staffs of the colony. 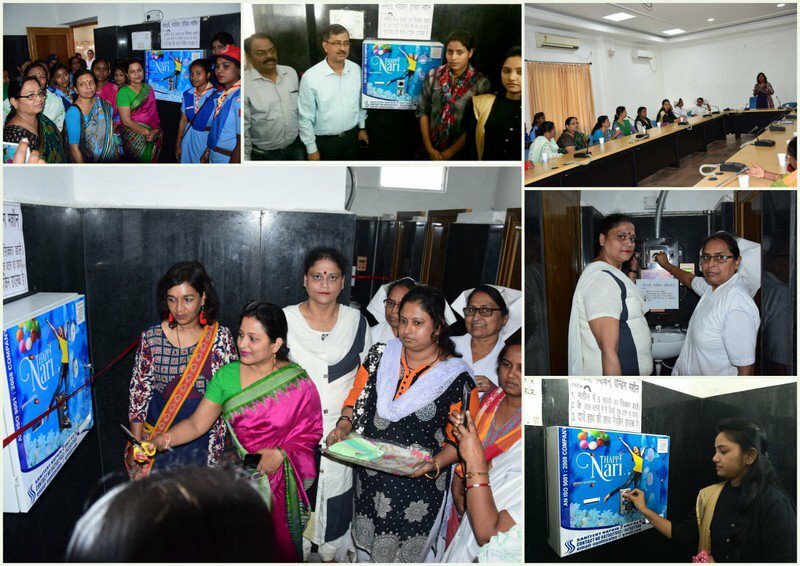 Distributed sanitary napkin packets to weaker & needy section of women of slum area as per guidelines issued by RWWCO, Near Bhankada danga & Manipur in the month of November and December. 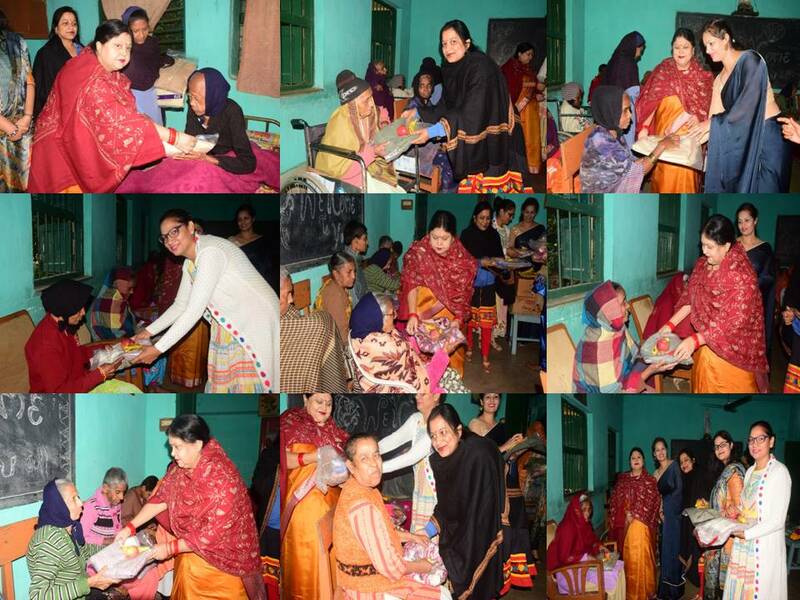 SERWWO/Adra Distributed sweaters & fruits among the old age ladies of st. Vincent Ashram, Cakes & toffees for girls children. 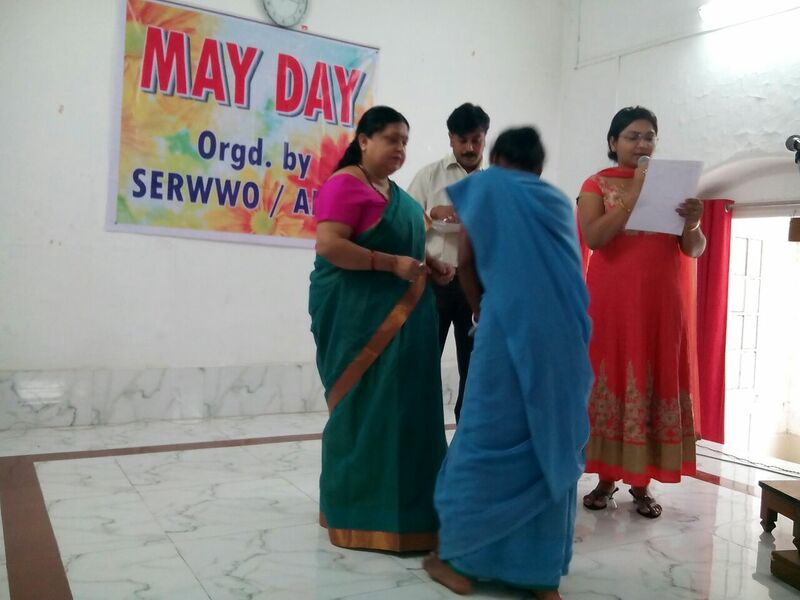 in presence of President /SERWWO, Adra and all members of SERWWO. 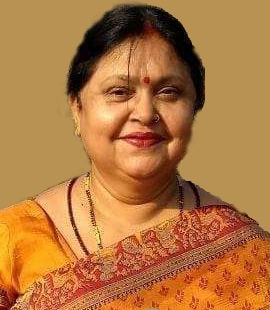 on 17.12.2018. 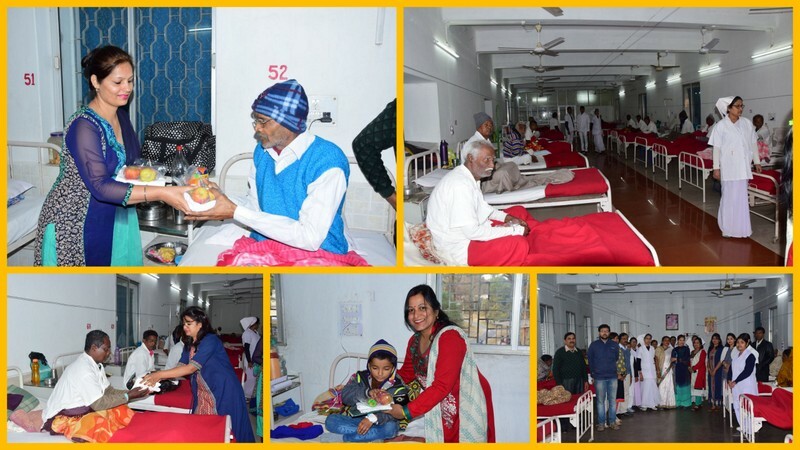 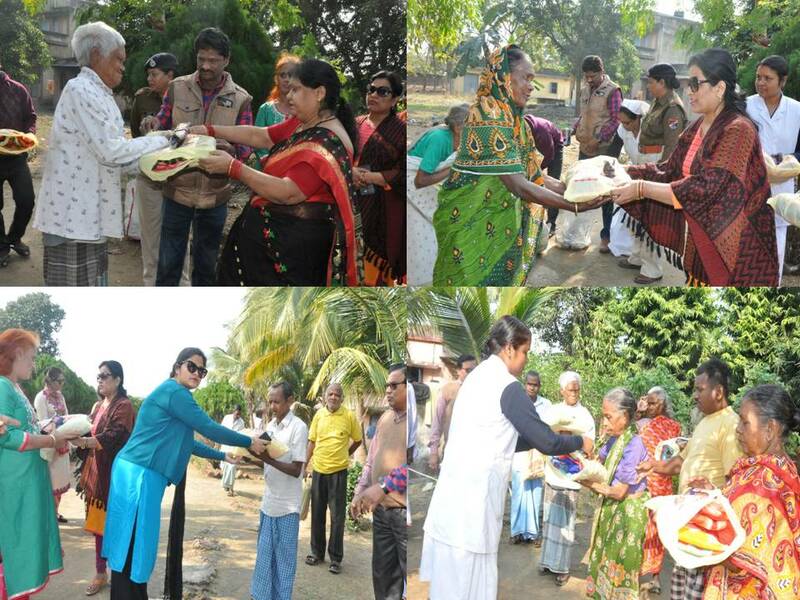 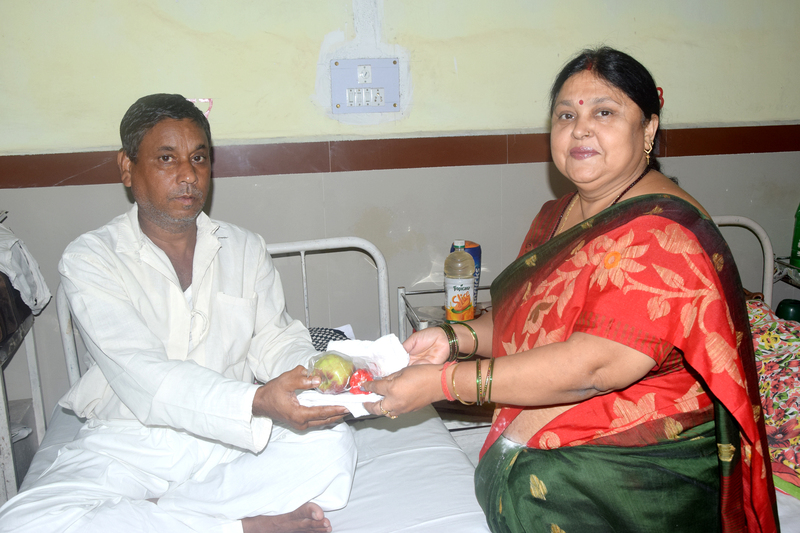 SERWWO, Adra Distributed Blankets & Breads among all the old age people of Leprosy Ashram due to extreme cold weather. 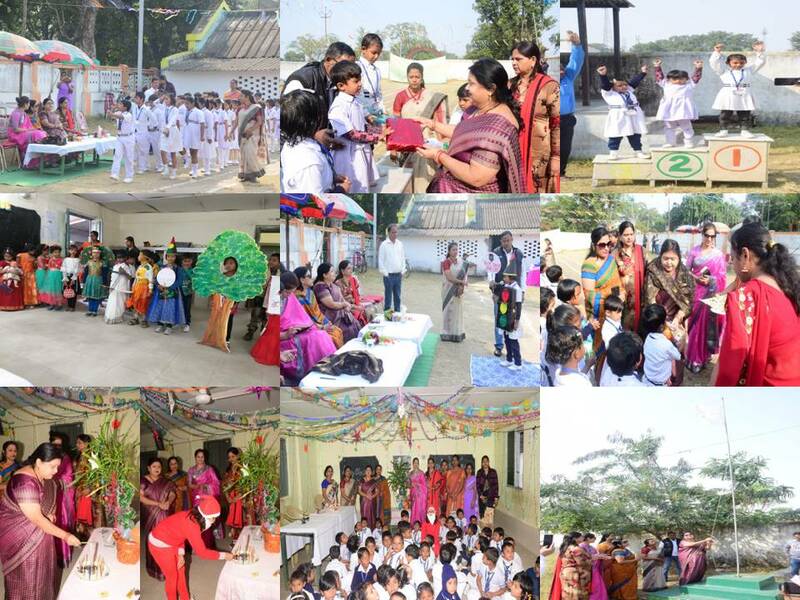 Executive members of SERWWO /HQ, Visited Adra Division on 21.12.2018, in connection with that they have visited Adra public school, Navjeevan Vidyalaya Rail museum and Swarnajayanti Park. 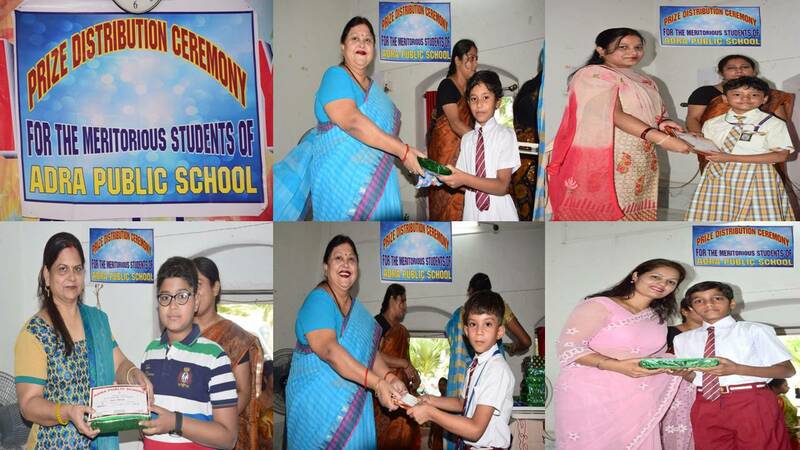 Students get distributed pastries by them. 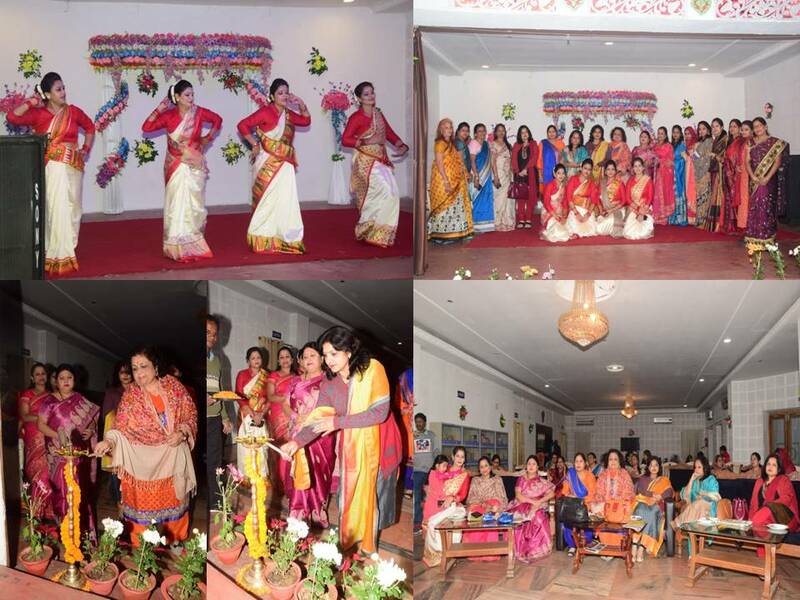 Members of SERWWO/Adra represented wonderful cultural programme at officers club. 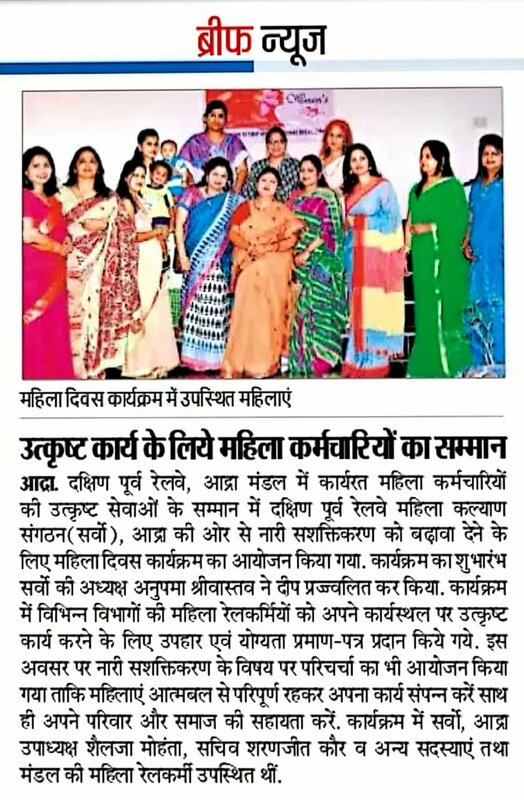 on 21.12.18. 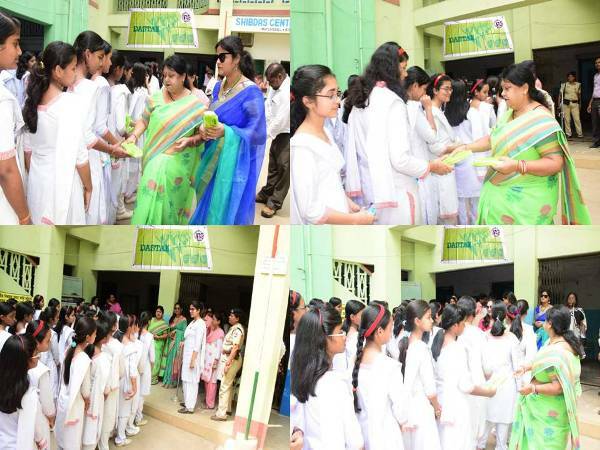 SERWWO /Adra distributed sanitary Napkins packets to weaker section of girls of slum area near village, Chapthad Bhojudih, Bhairavsthan and girls student of Inter College Bhojudih on 20.01.19 as per guidelines issued by RWWCO/NDLS 2017-18. 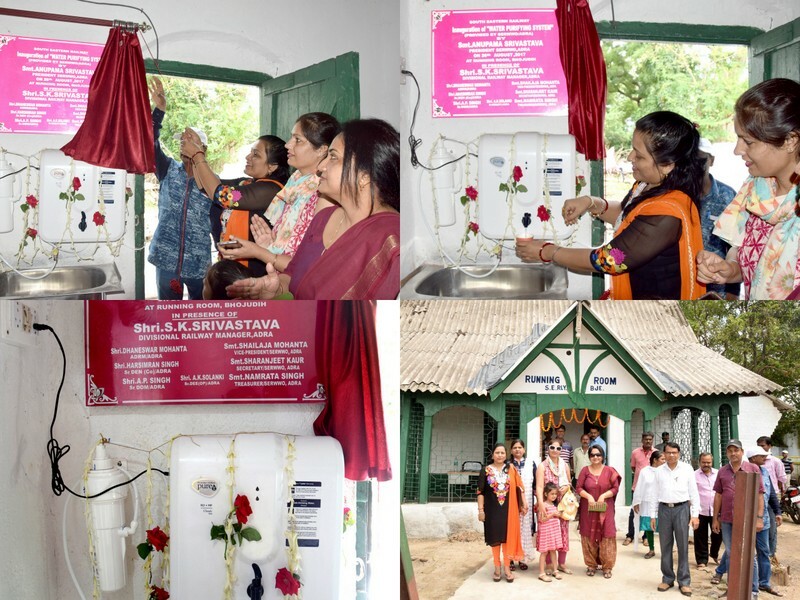 SERWWO /Adra has donated one RO water purifier at S.E.Rly. 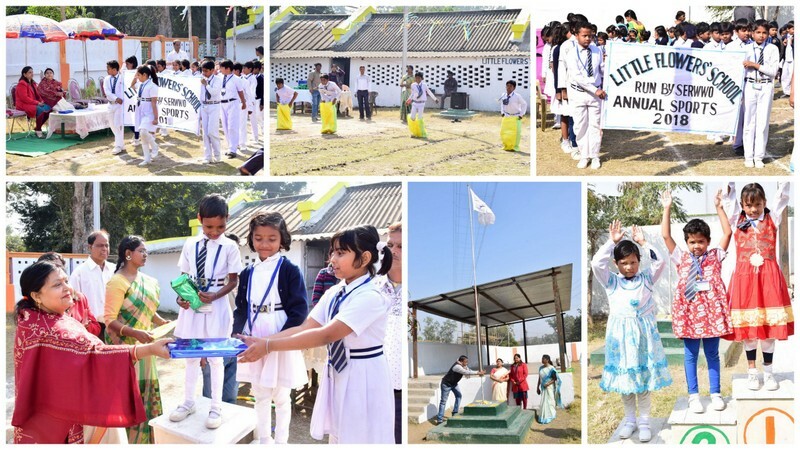 Scoutden Adra on 16.01.19. 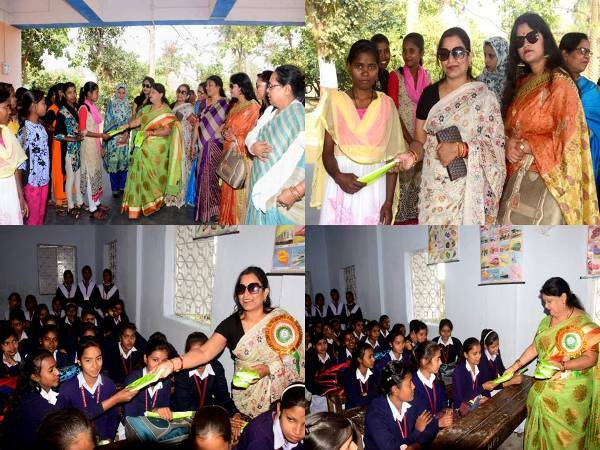 As per guide lines issued by President RWWCO/New Delhi, SERWWO/Adra Division distributed sanitary napkins packets to weaker section of the women’s of slum area at Narkura Basti near Balidih Thana Bokaro on 26.02.2019. 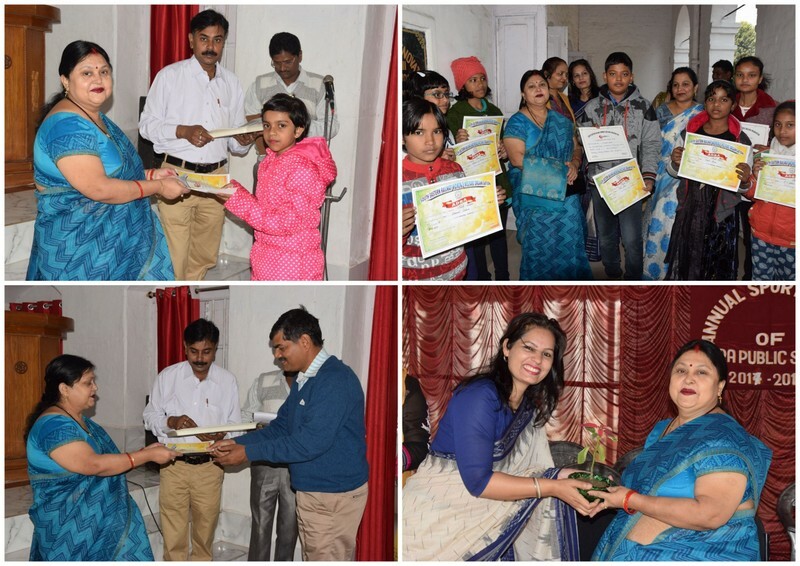 Scholarship/financial help to needy and meritorious students of inter collage Bhojudih awarded by Hon'ble President SERWWO, Adra for the year of 2019-20 on 26.02.19. 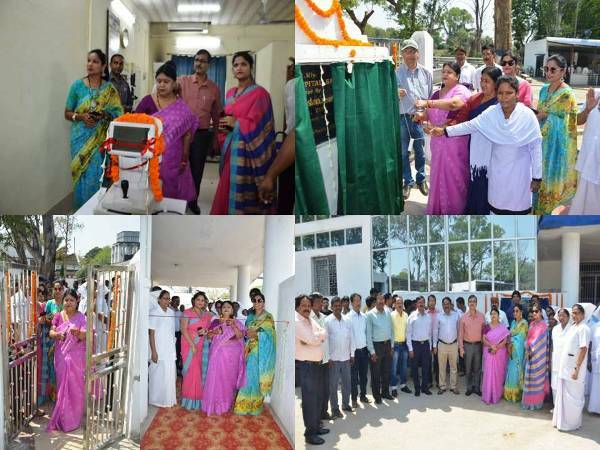 Inauguration of Autorefracto-keratometer, Garden & Ramp way at Divisional Hospital, Adra inaugurated by President SERWWO Adra. 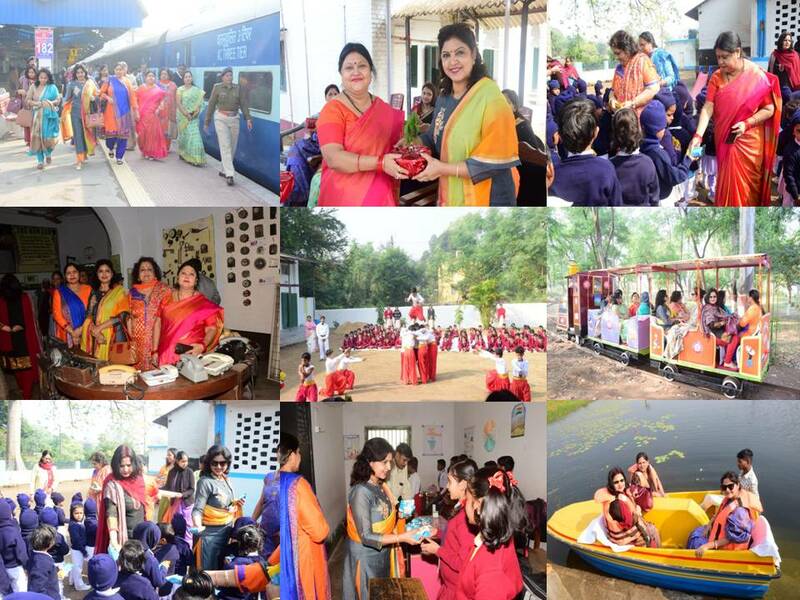 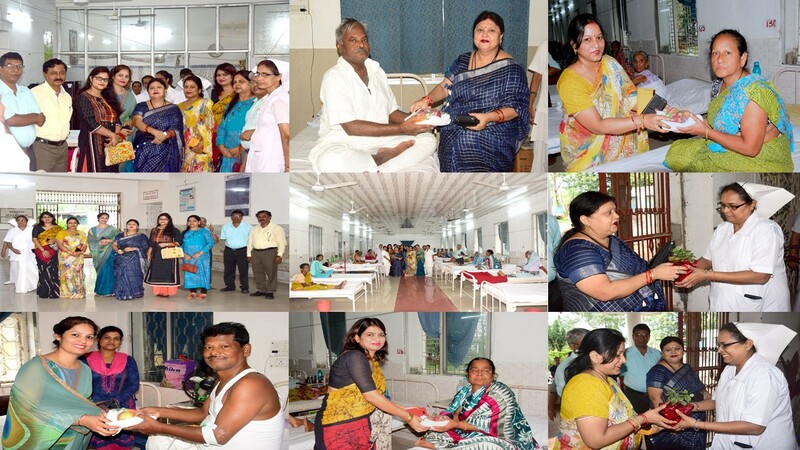 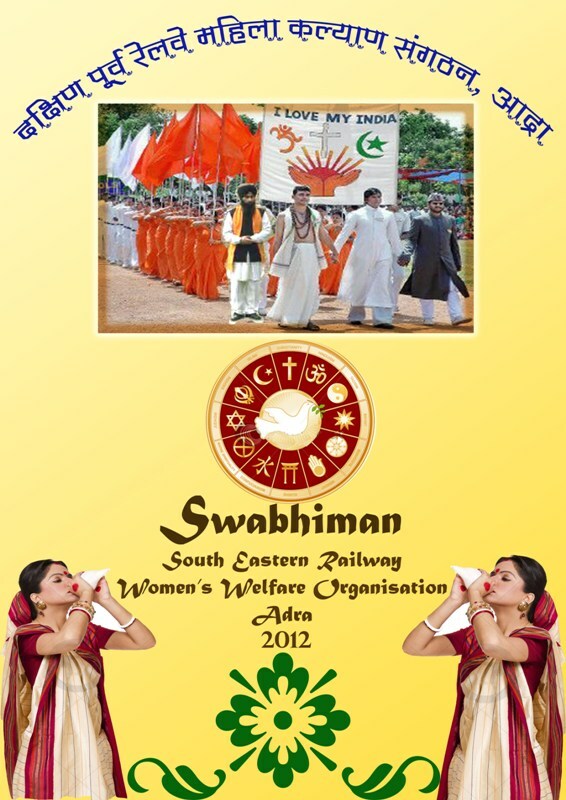 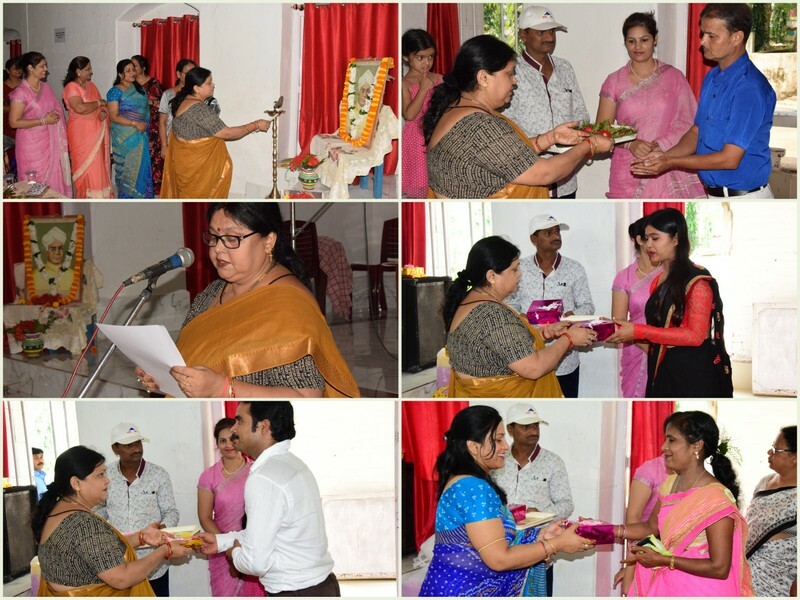 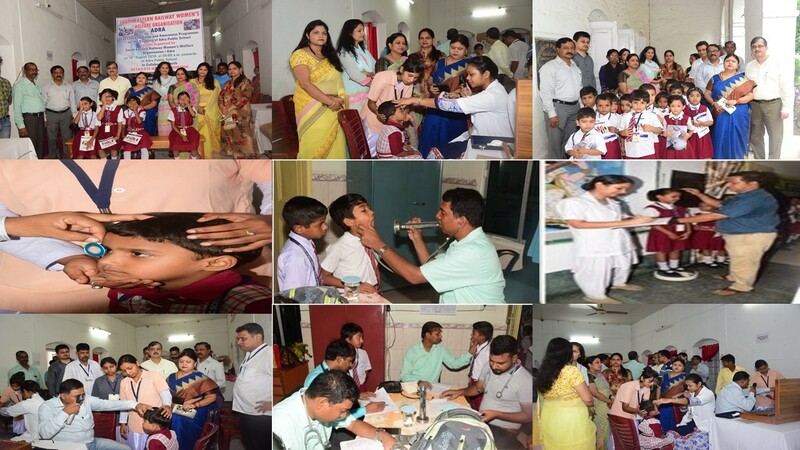 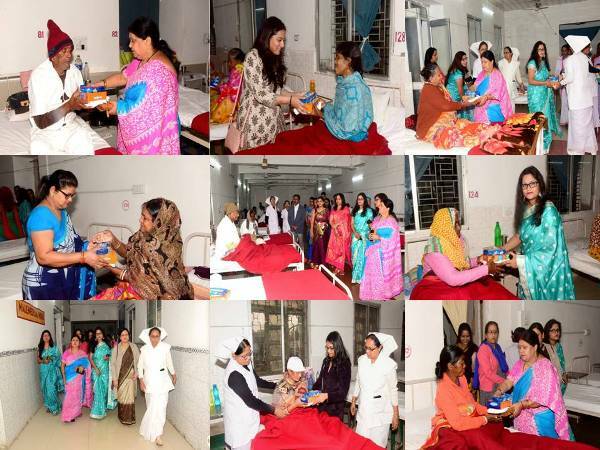 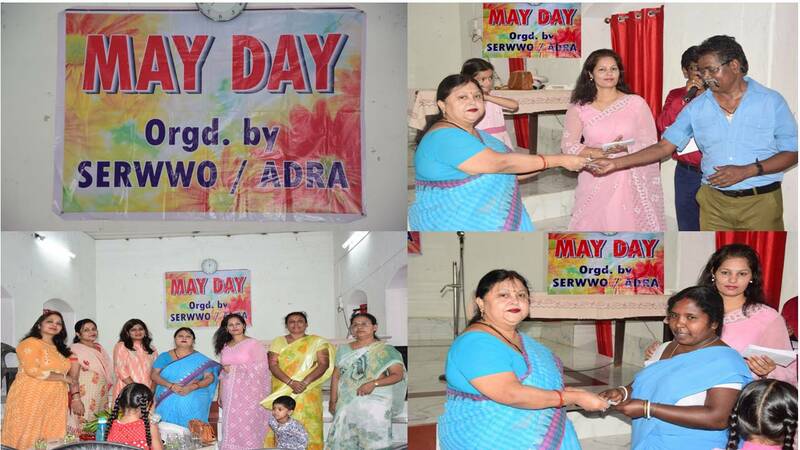 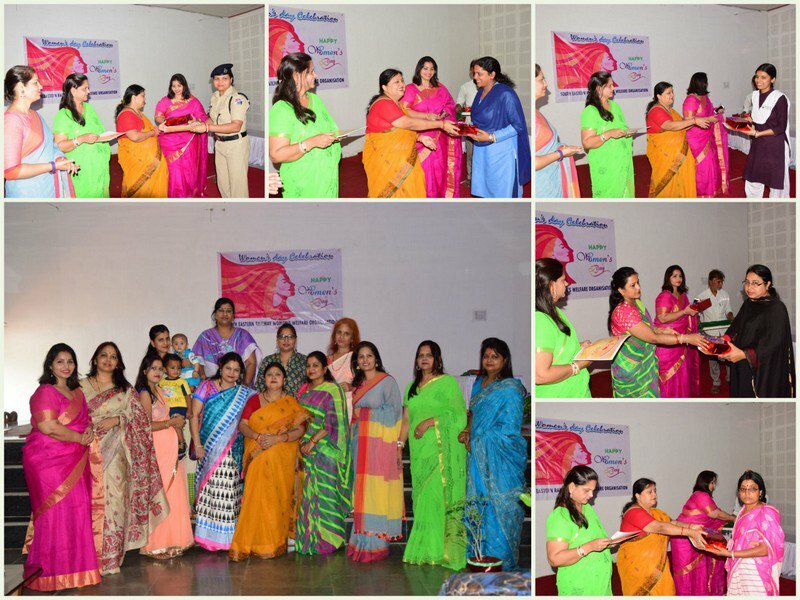 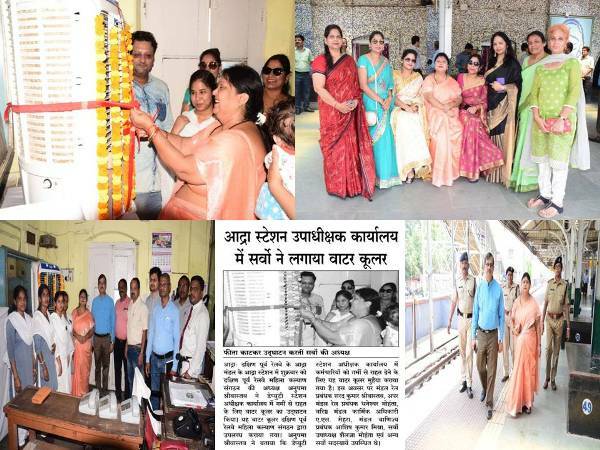 SERWWO Adra organized a function to felicitate Railway women employees of Adra Division in the eve of women's day for their exemplary work as well as provided tracksuits to 22 women athletes and also certified with gifts to some students for holding position in Painting and essay competition organised by SERWWO Adra. 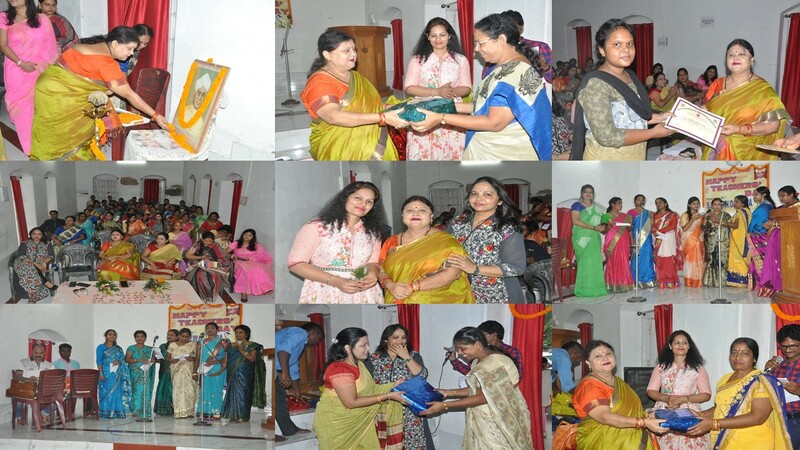 Sanitary napkins distributed by SERWWO Adra at Girl students of "Shibdas Central Girls High School" at Bishnupur on 17.04.19 . 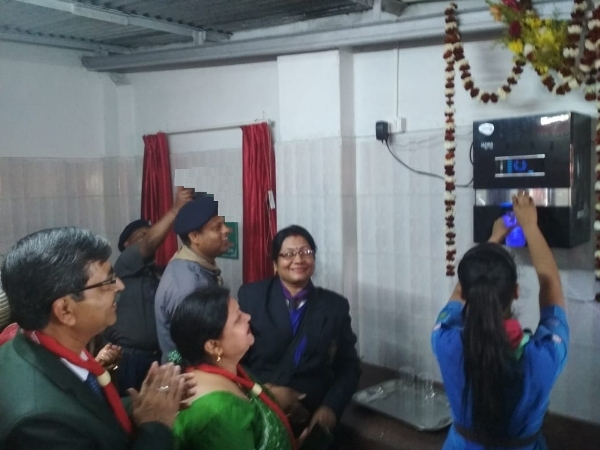 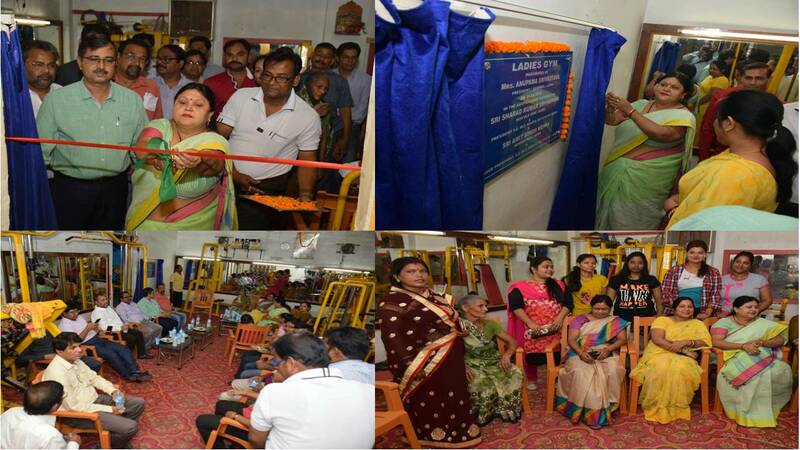 Rail Surakshabal Mahila barrack inaugurated by President SERWWO/Adra at Bankura in presence of Hon'ble DRM/Adra and other branch officers & SERWWO members on 17.09.19 . 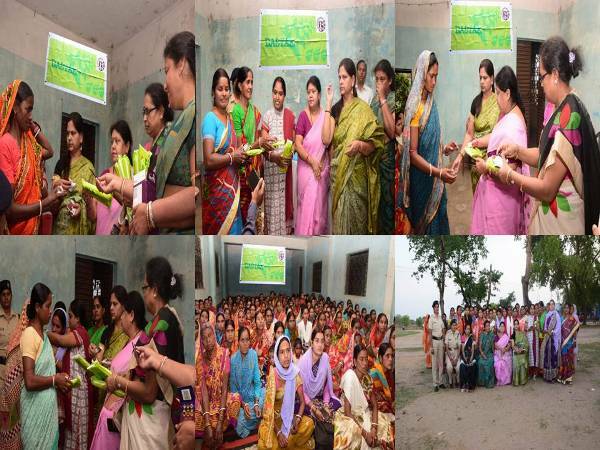 SERWWO/Adra distributed Sanitary napkins to women's in slum area of Jiudaru village at Kotshila on 20.04.19 . 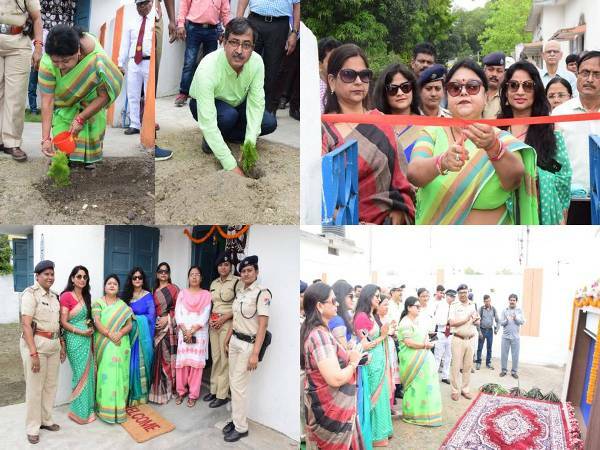 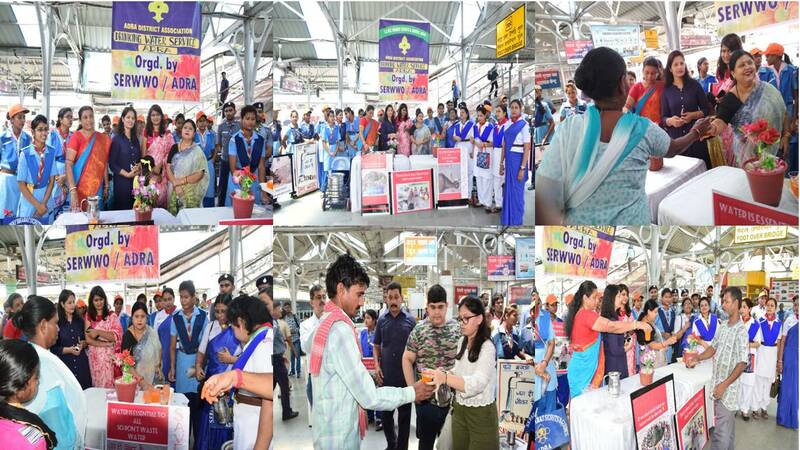 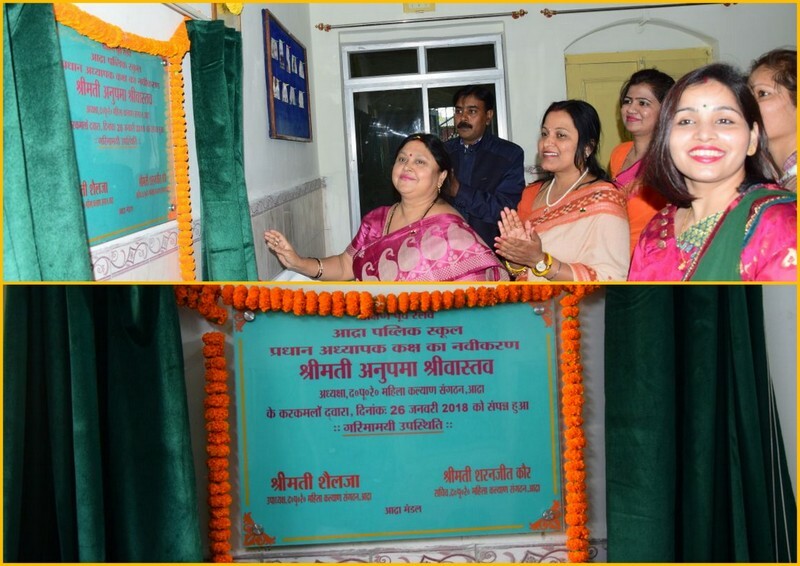 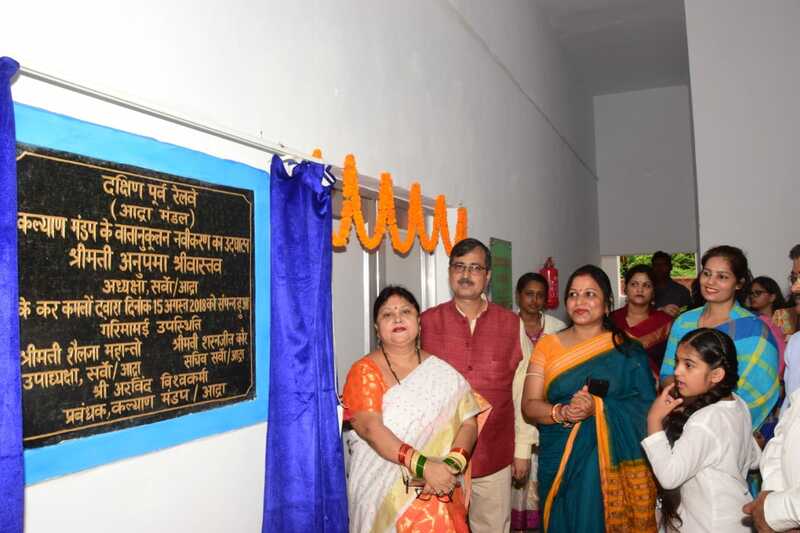 SERWWO/Adra Inaugurated Rail Surakshabal Mahila Barack & followed by plantation programme at Kotshila in presence of Hon'ble DRM/Adra on 20.04.19 . 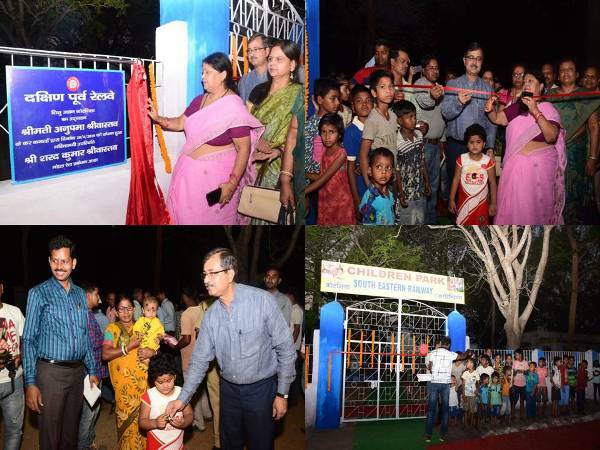 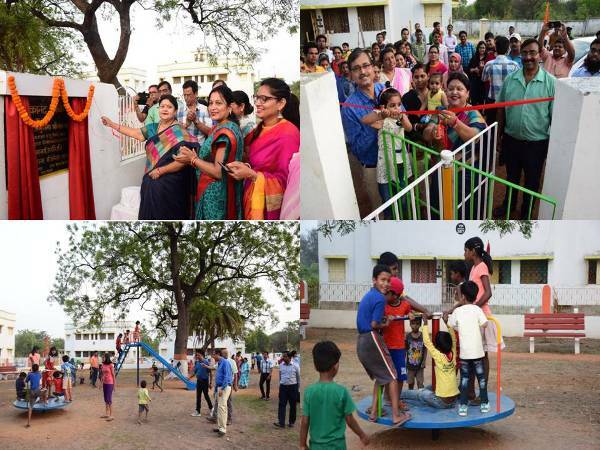 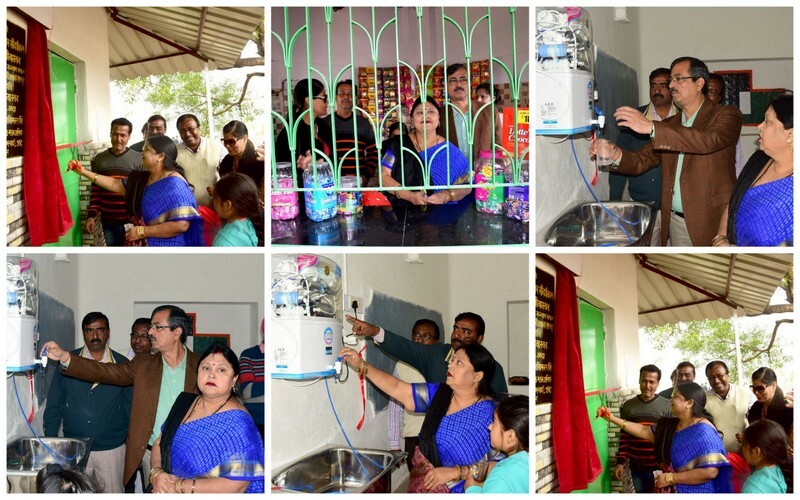 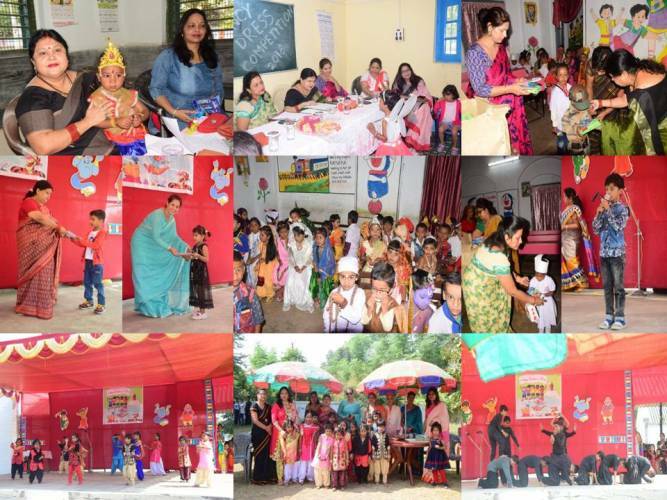 SERWWO/Adra Inaugurated a children park at Kotshila in presence of Hon'ble DRM/Adra dedicating to the colony dwellers for entertainment especially children's on 20.04.19 .